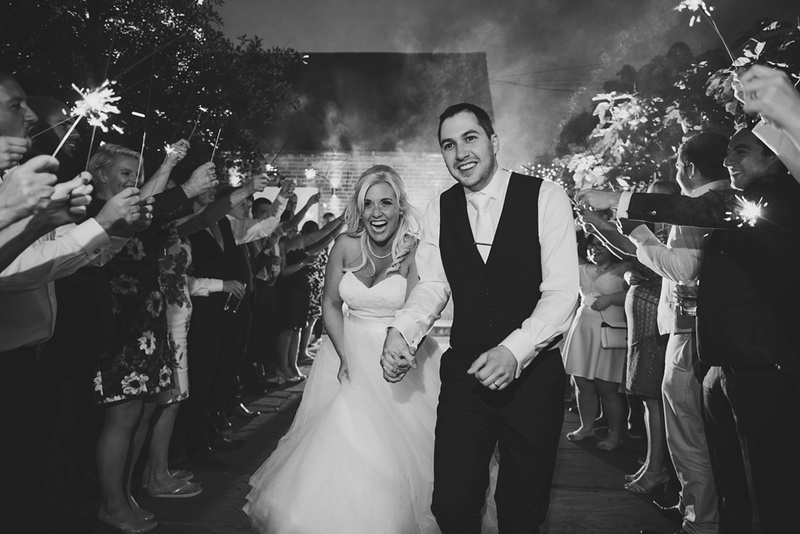 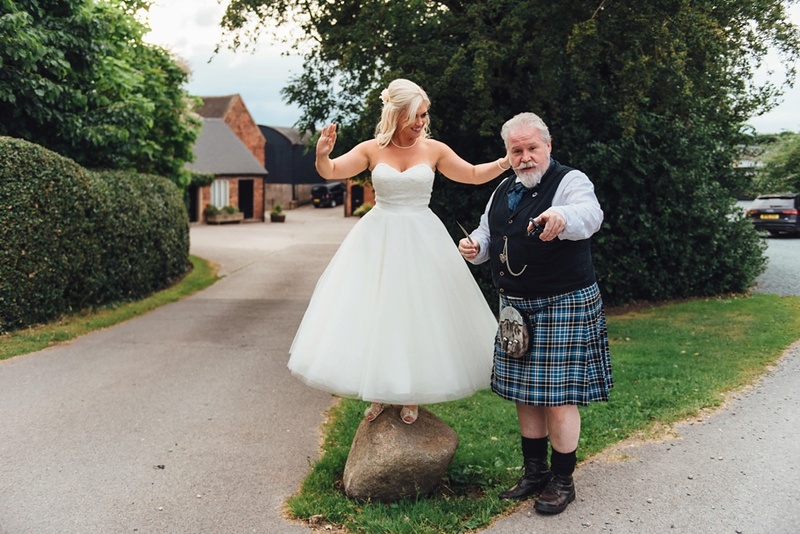 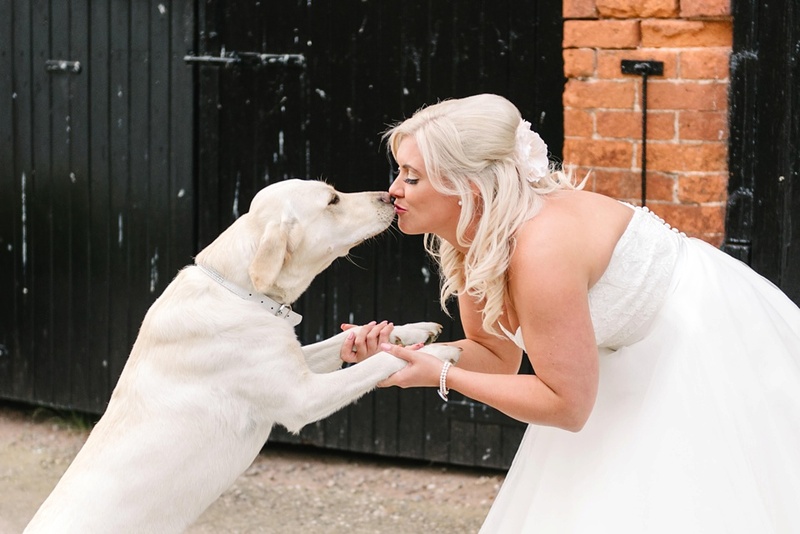 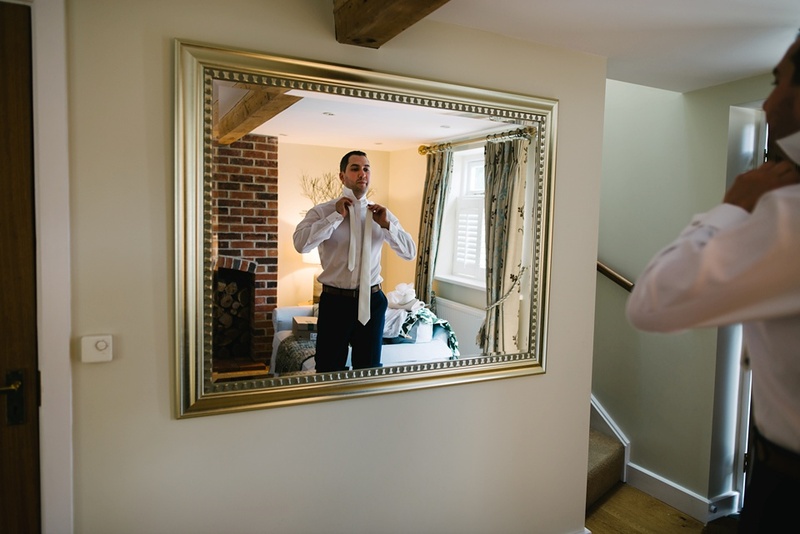 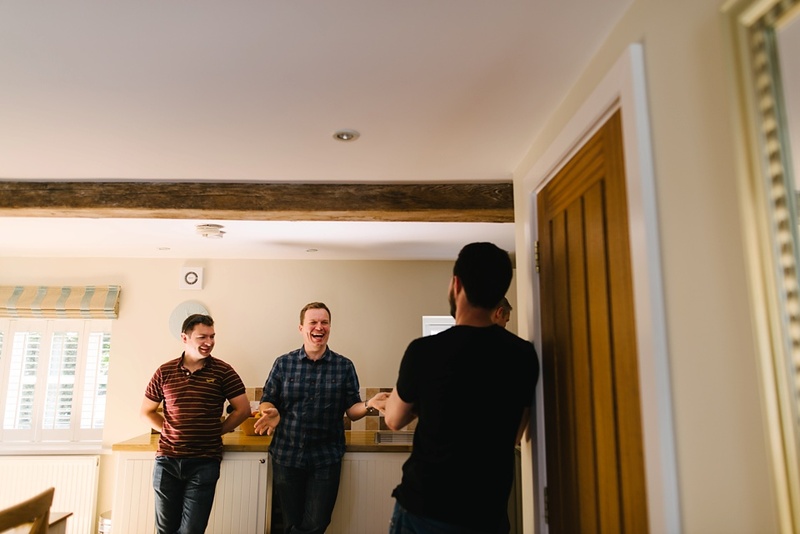 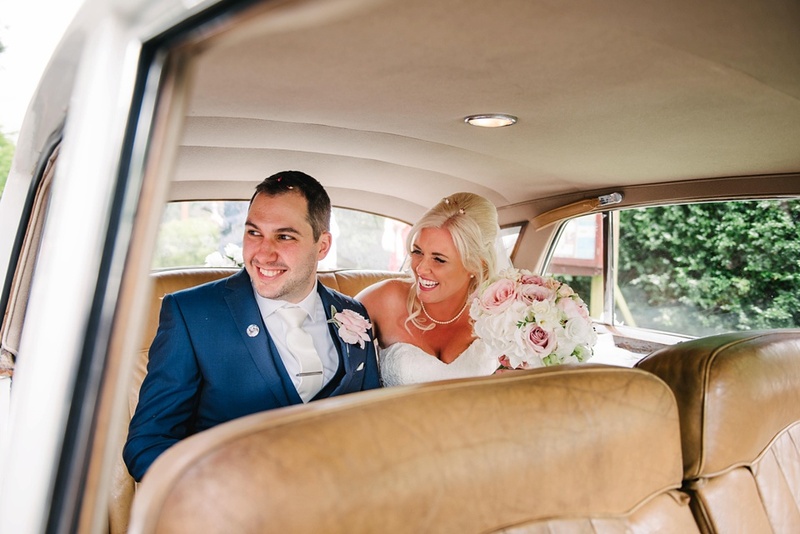 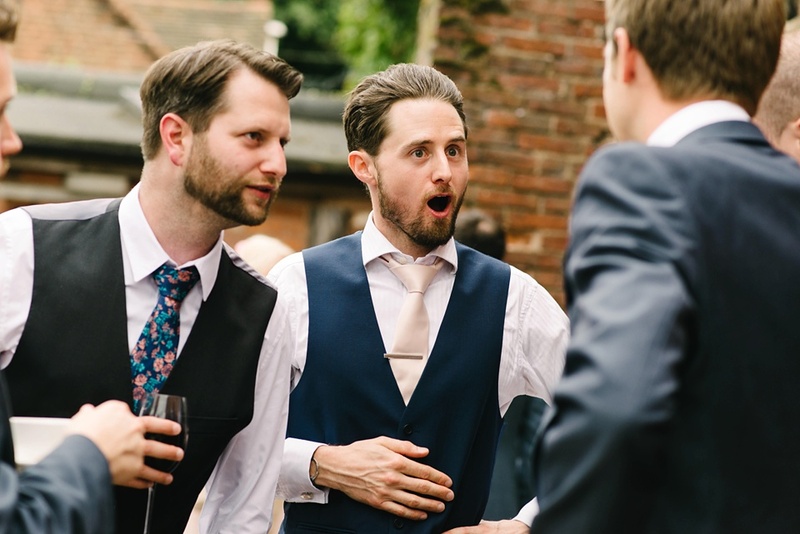 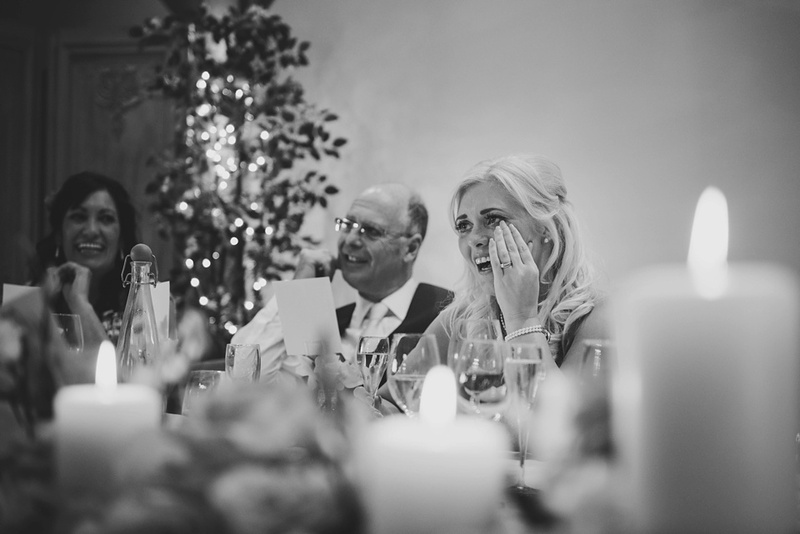 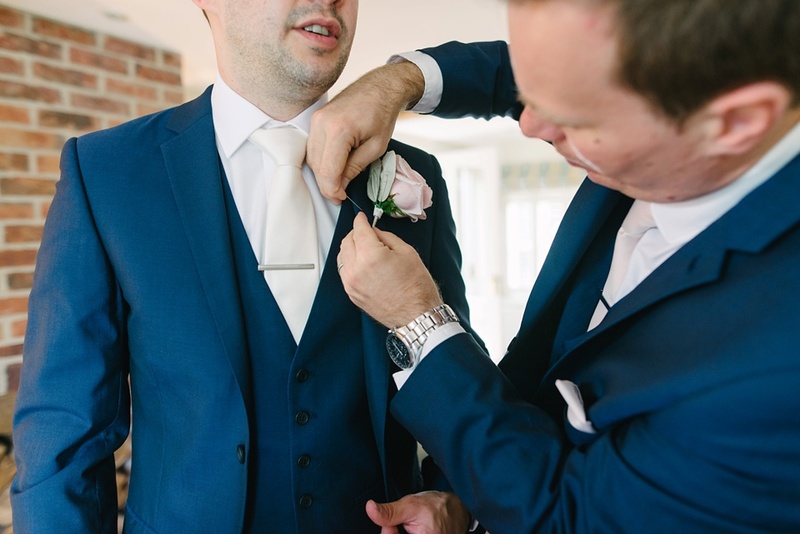 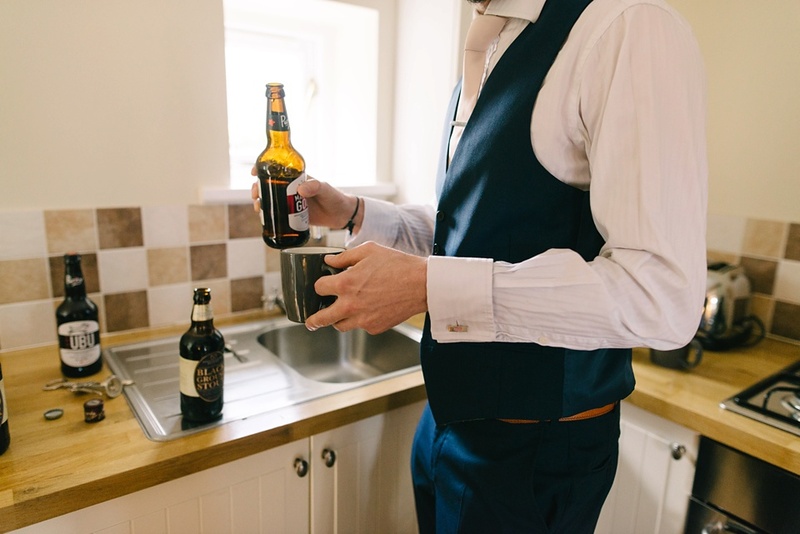 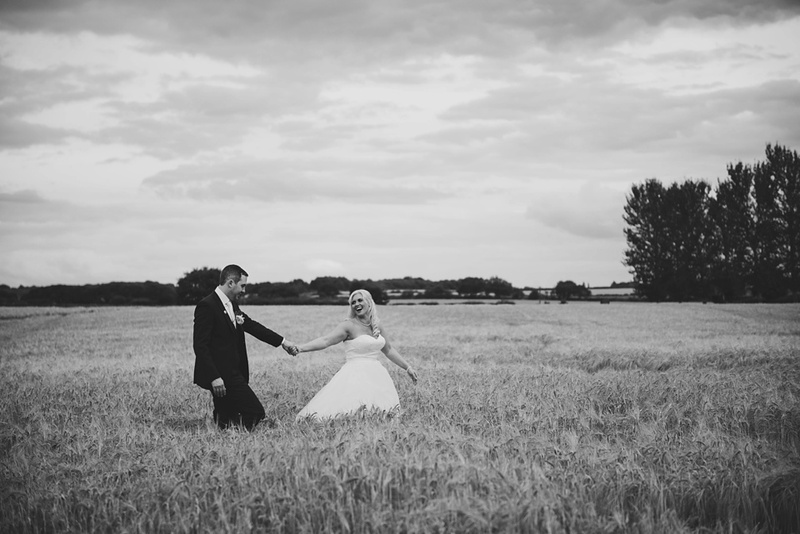 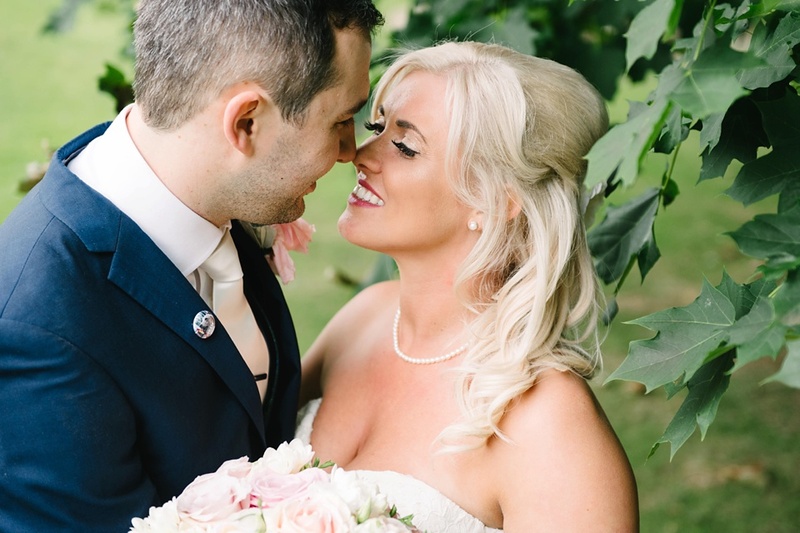 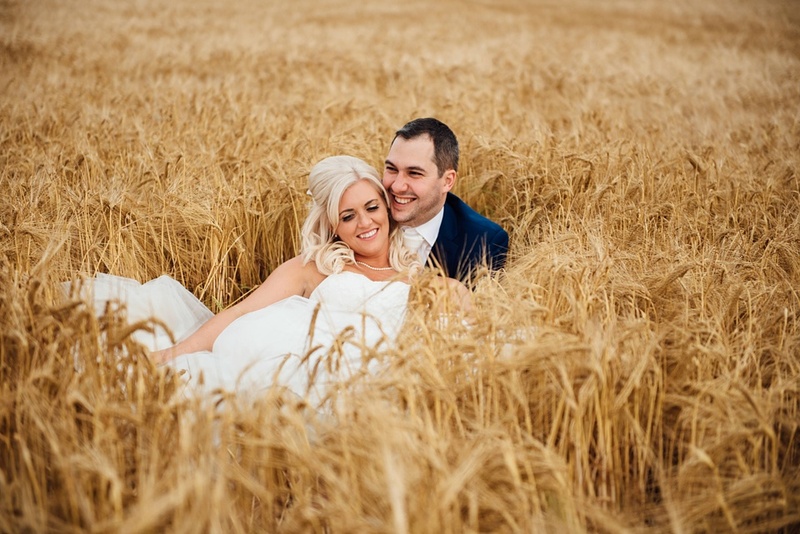 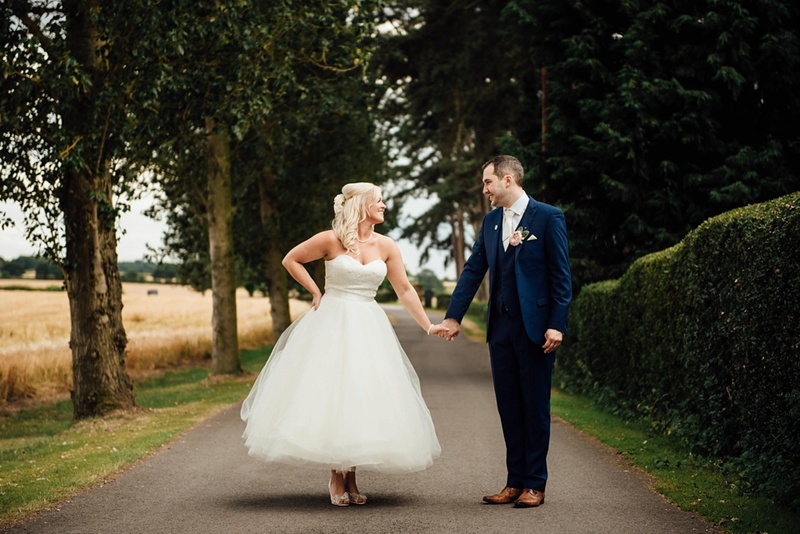 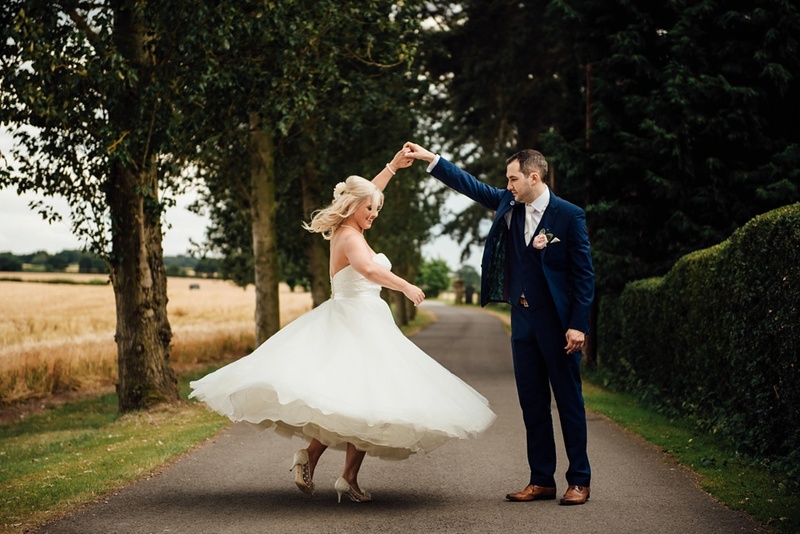 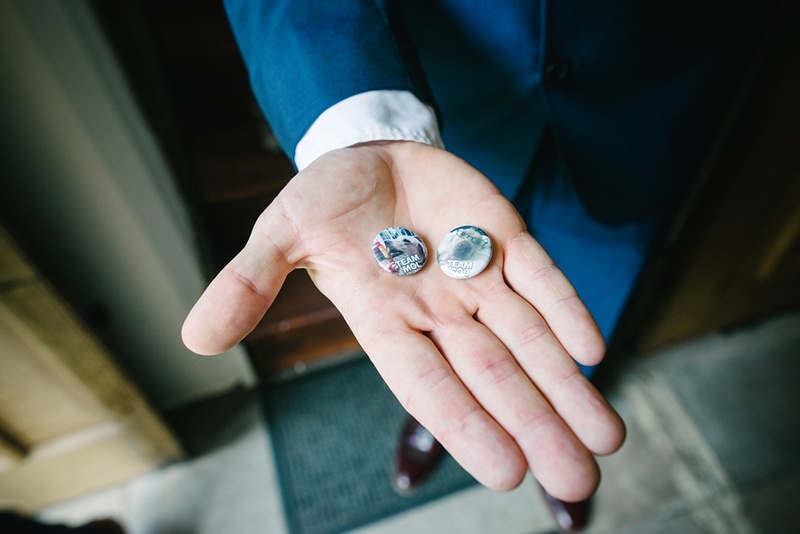 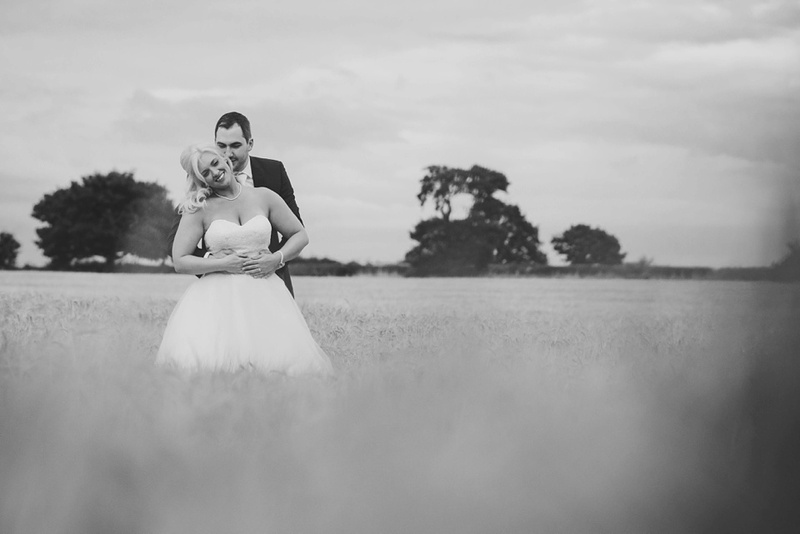 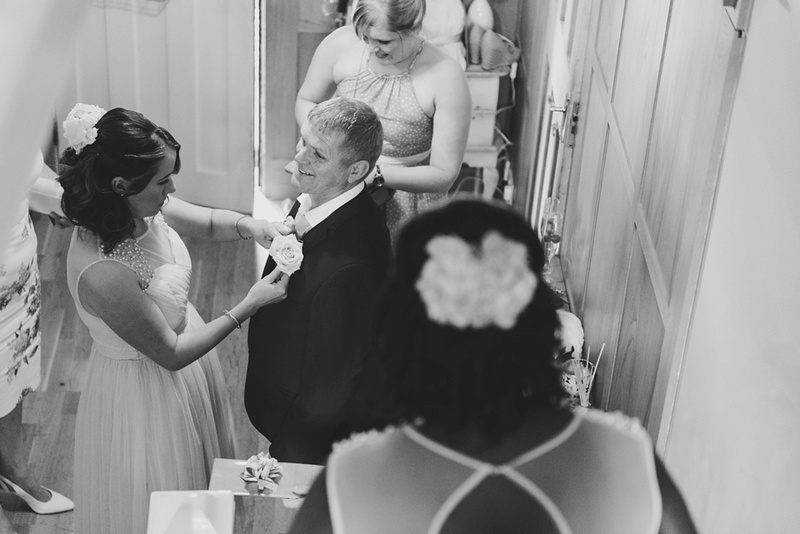 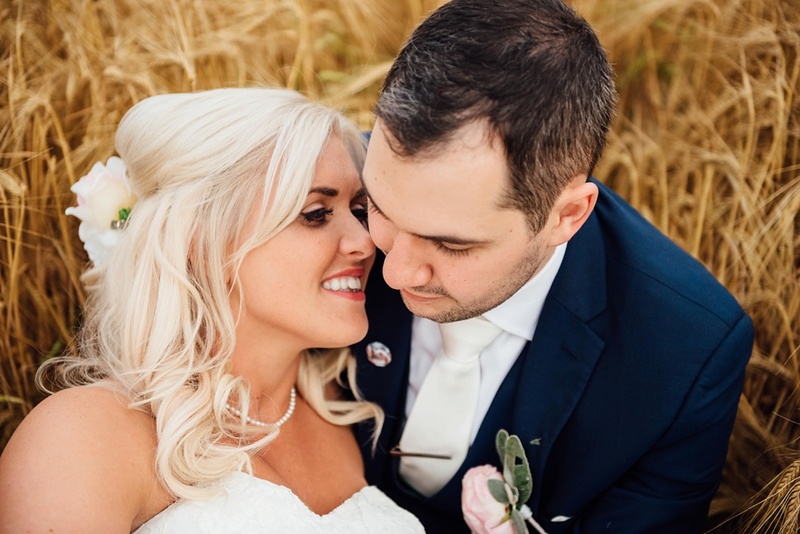 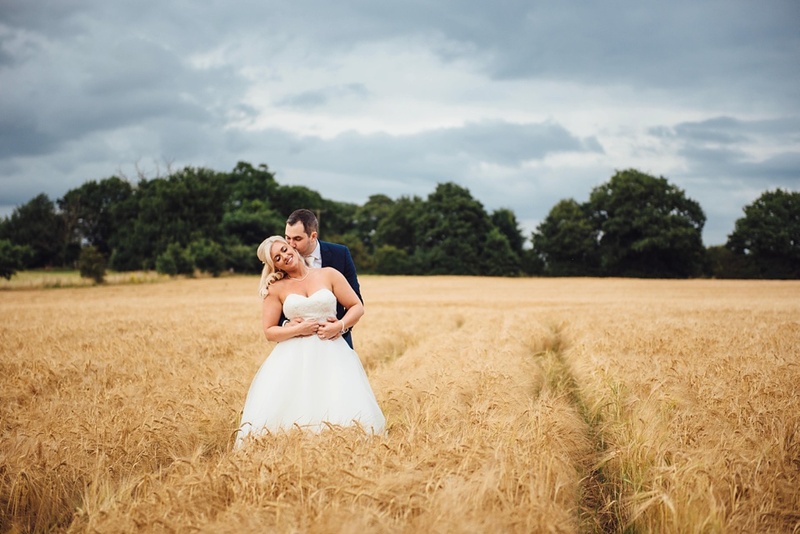 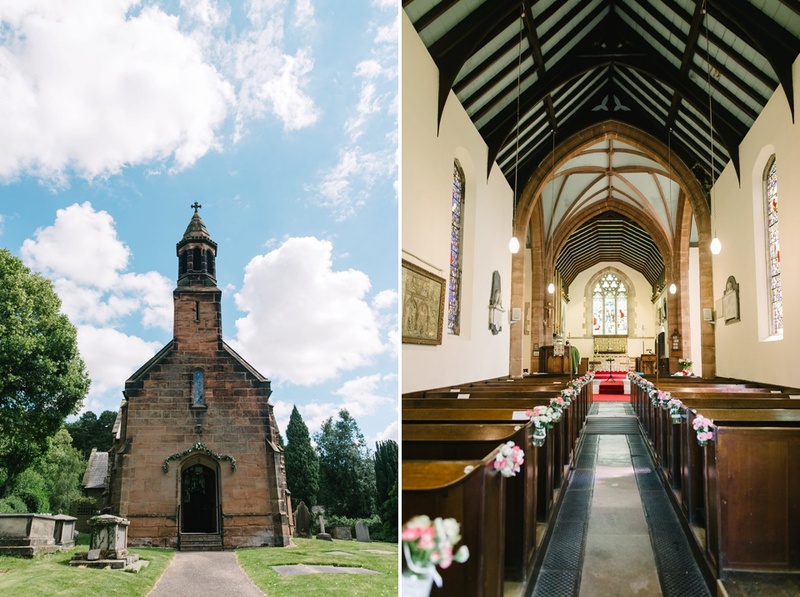 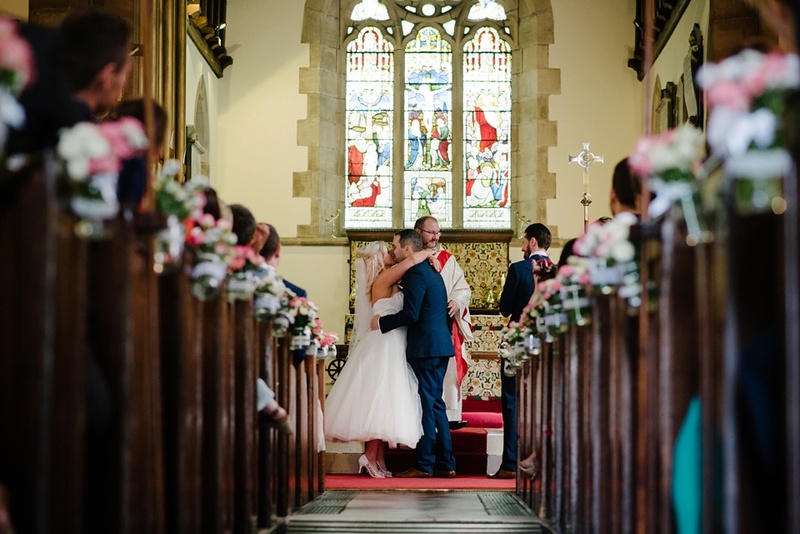 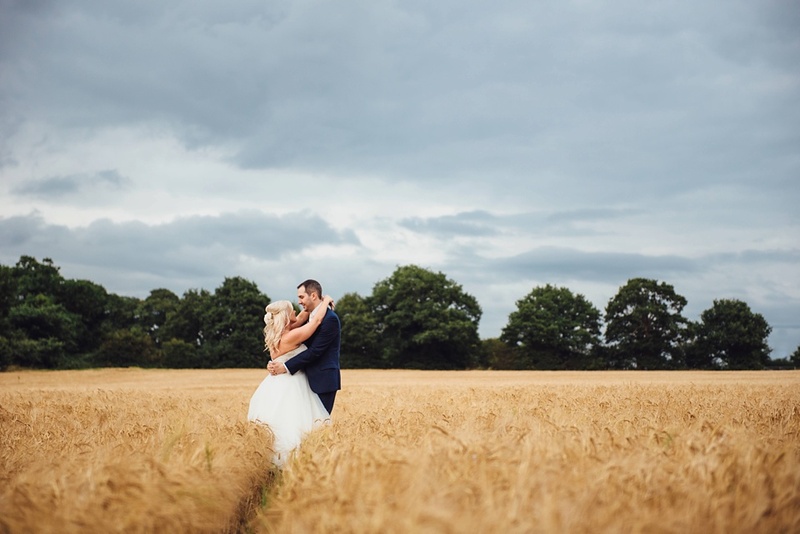 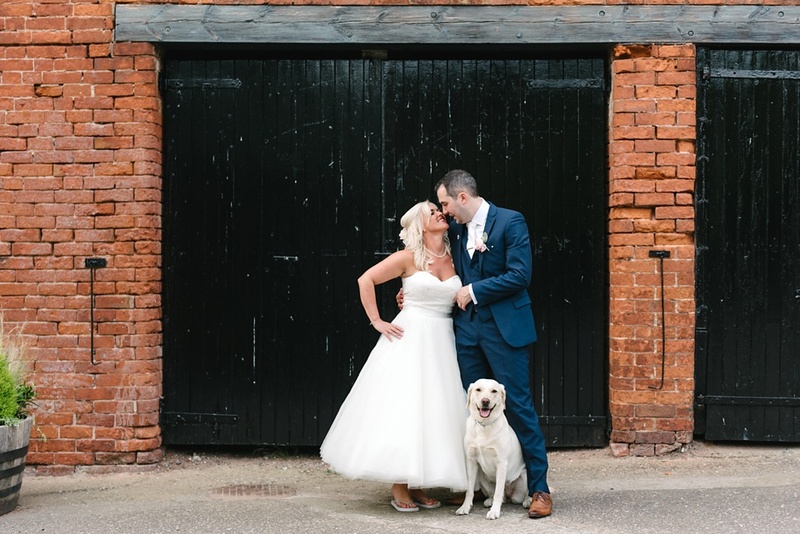 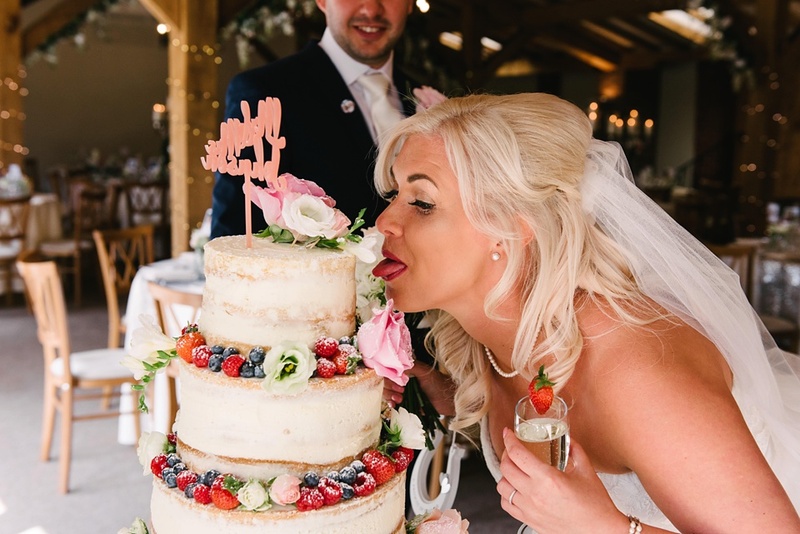 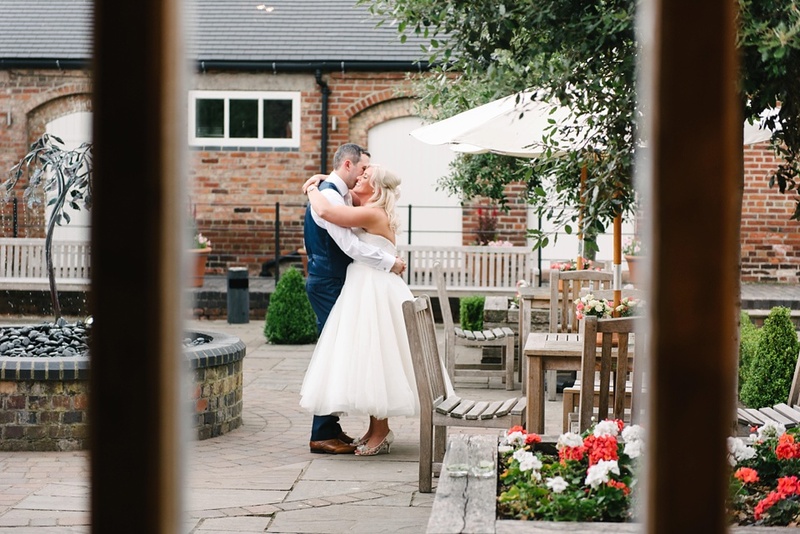 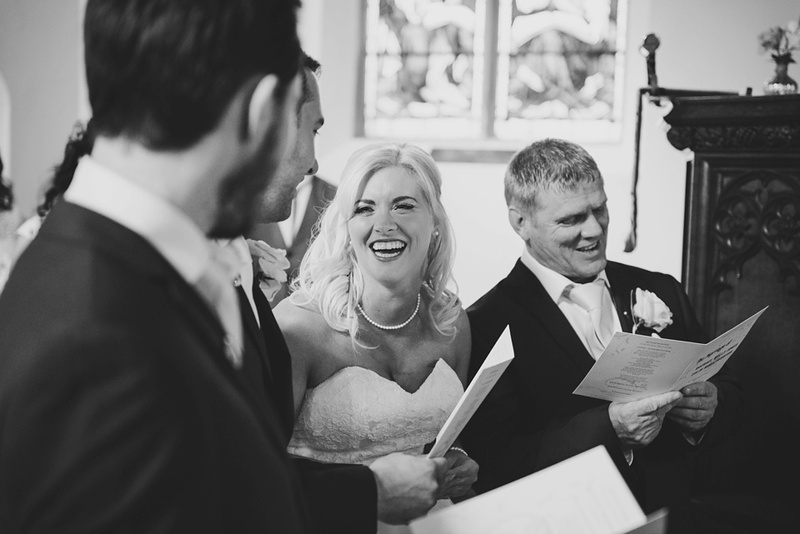 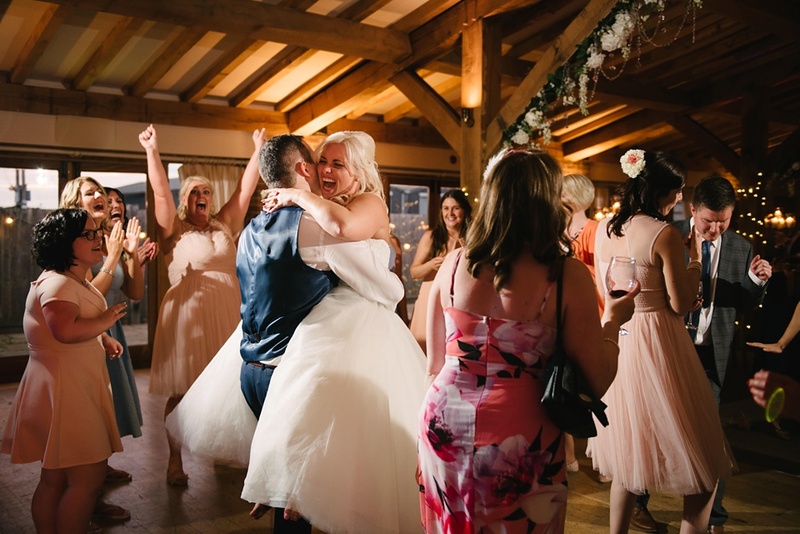 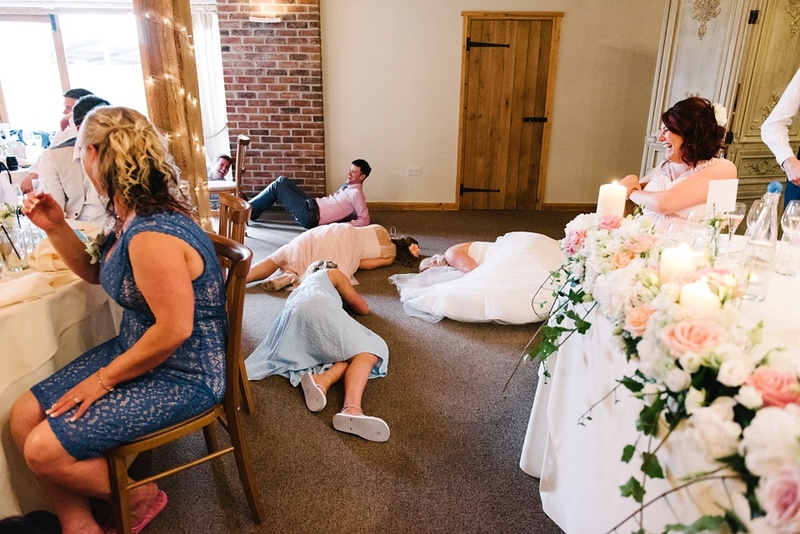 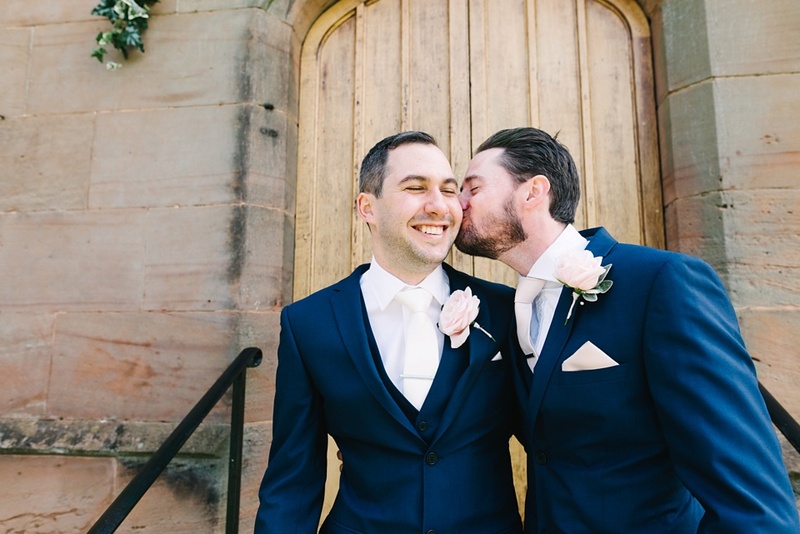 As soon as I met up with Colin and Molly at their venue to discuss their Packington Moor Wedding Photography, I knew we were onto a total winner. 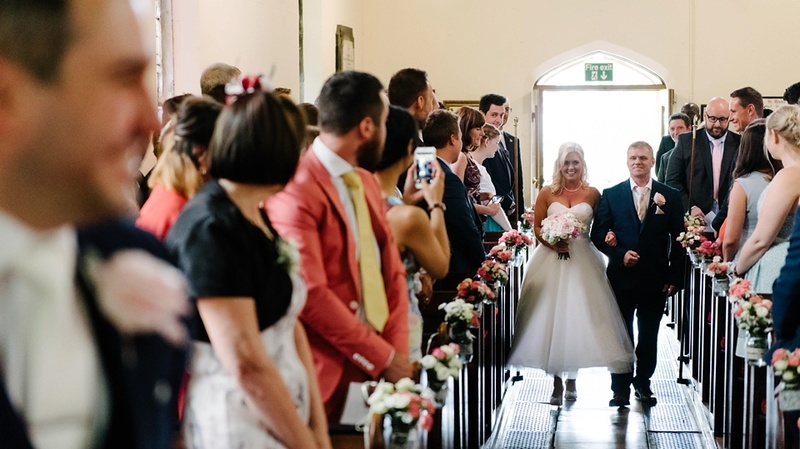 They were warm, kind, generous and glowing with excitement and enthusiasm for the day and each other. 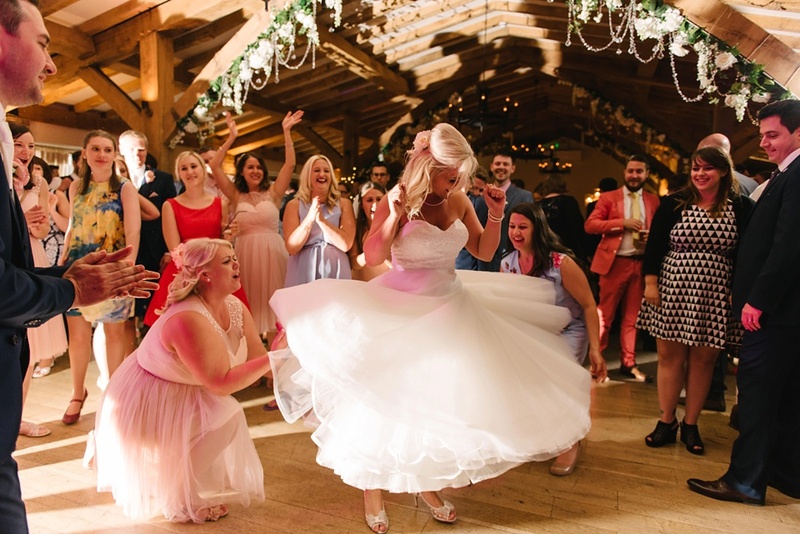 Mol really is the kind of lady that makes you feel like you’ve been bestie’s forever right off the bat, and it made for some amazing pictures! 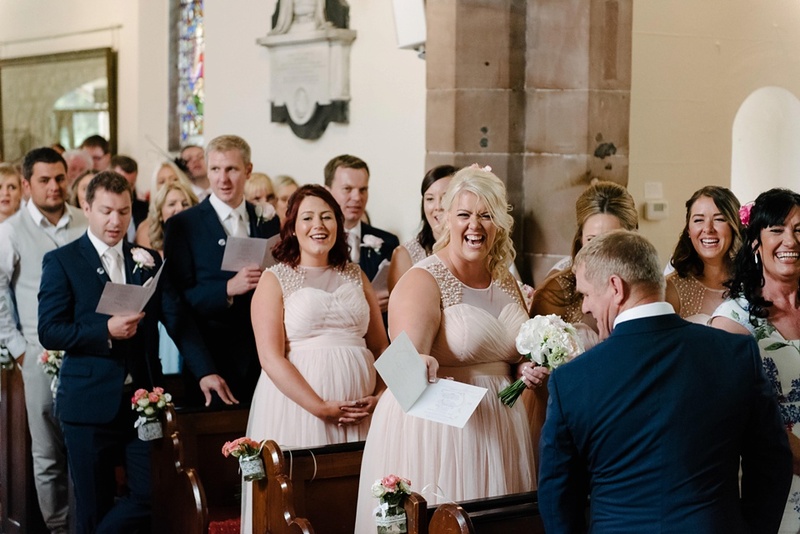 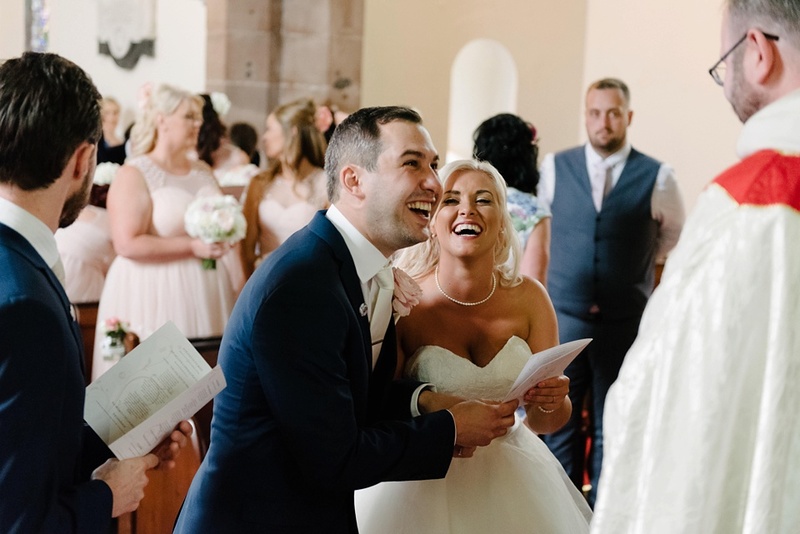 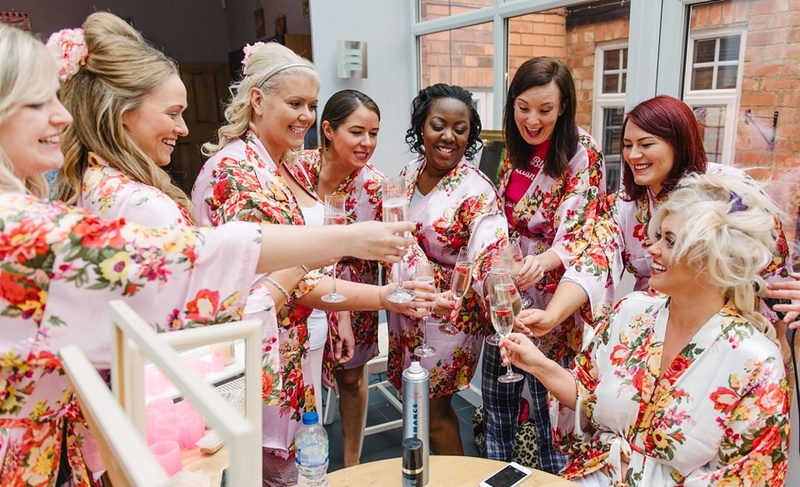 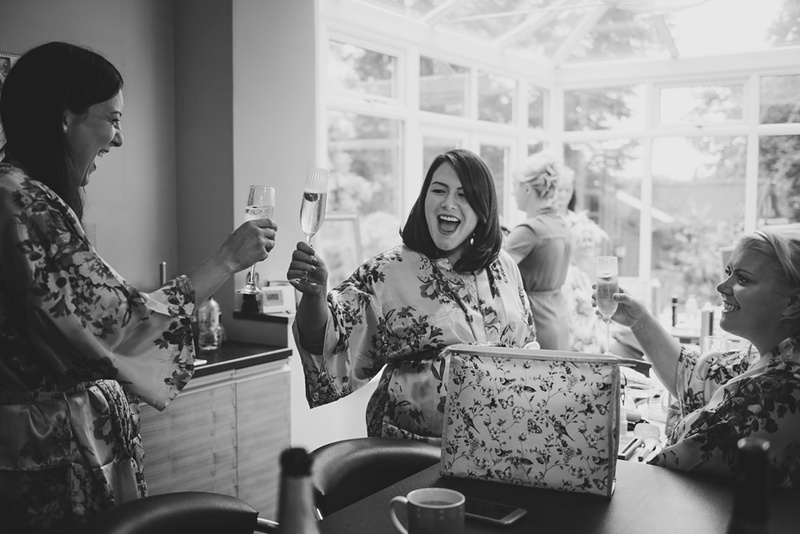 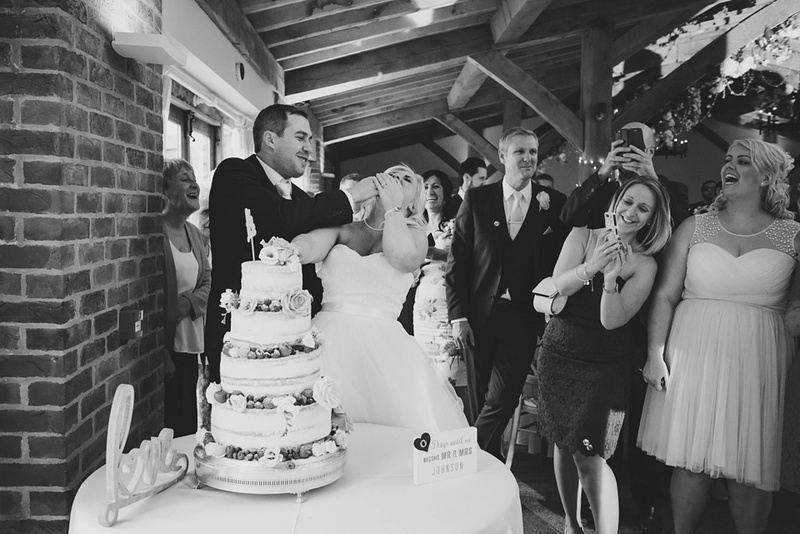 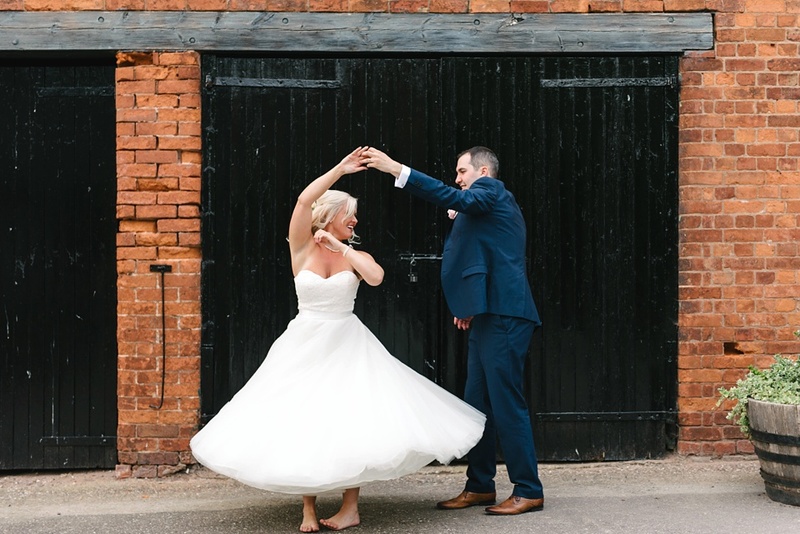 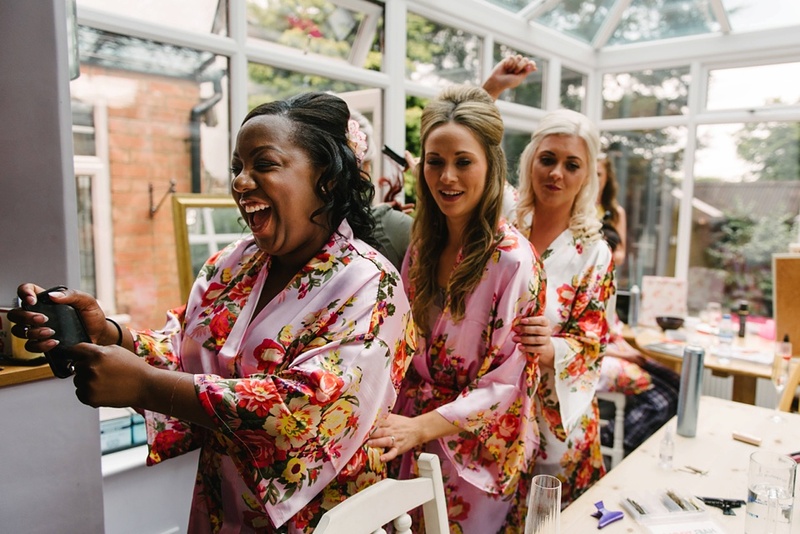 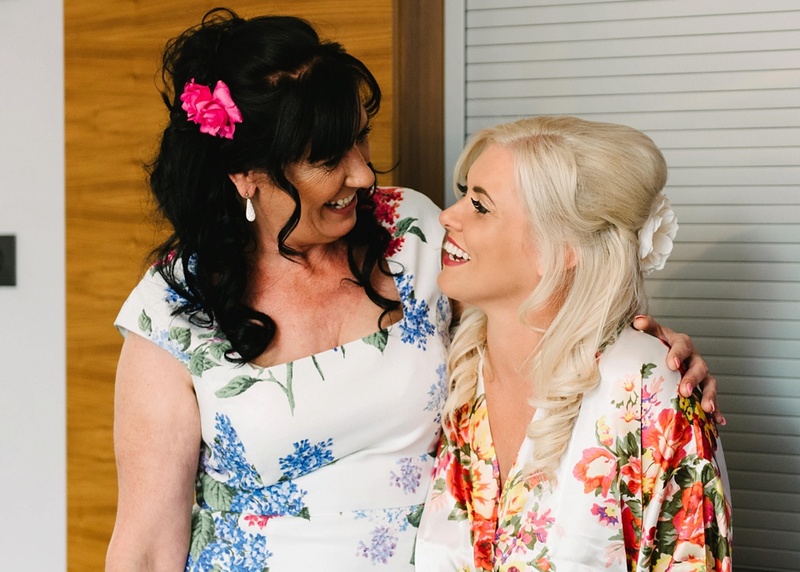 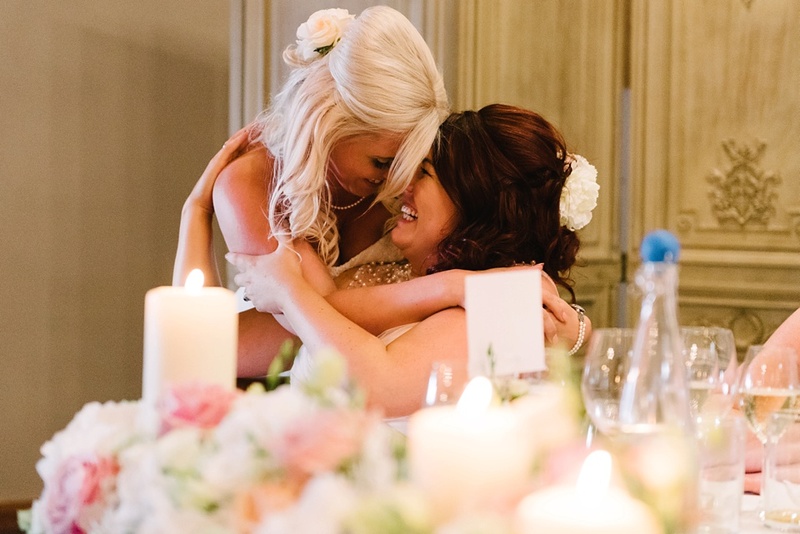 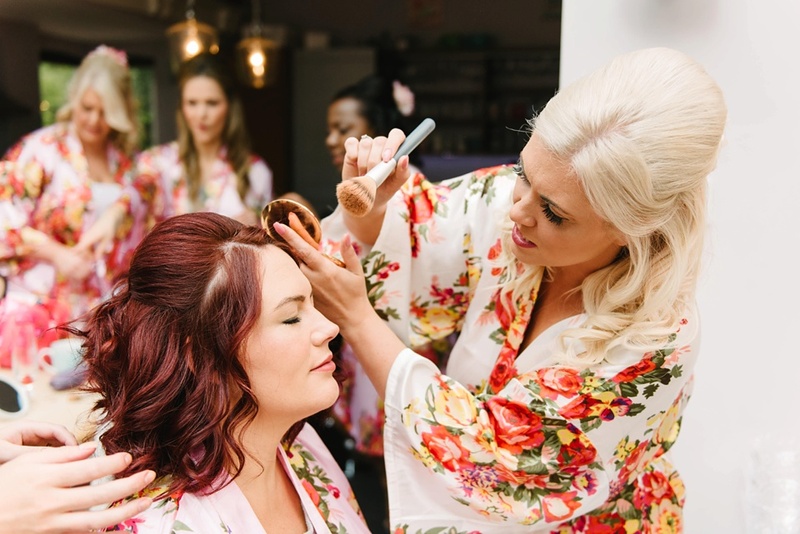 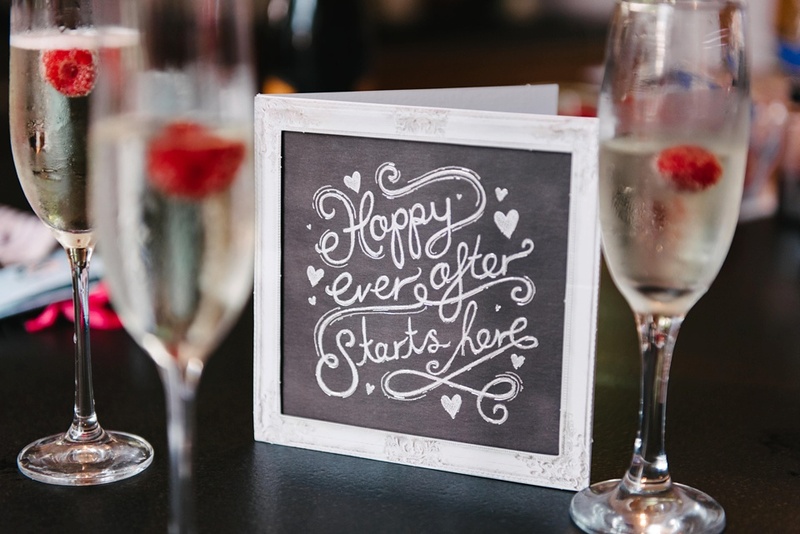 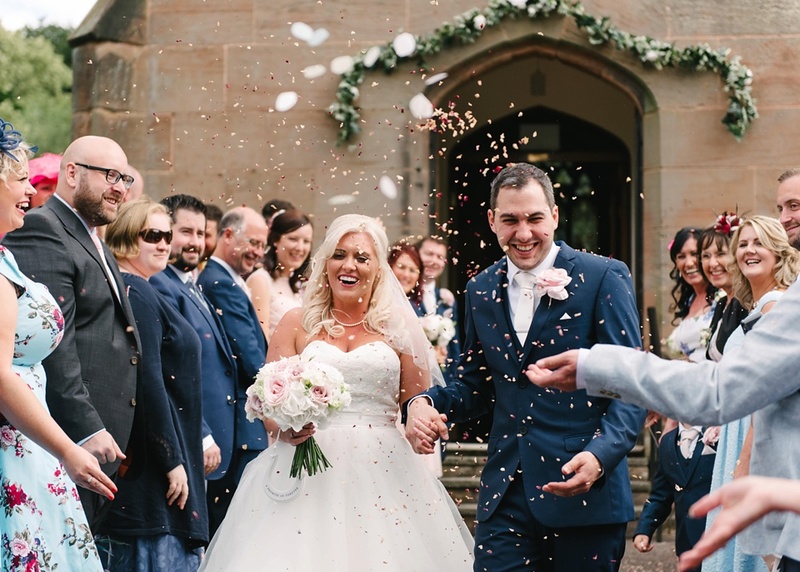 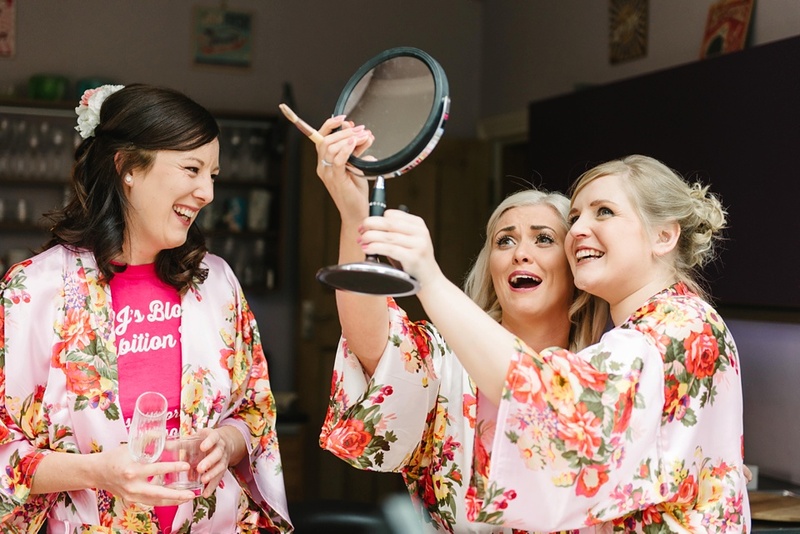 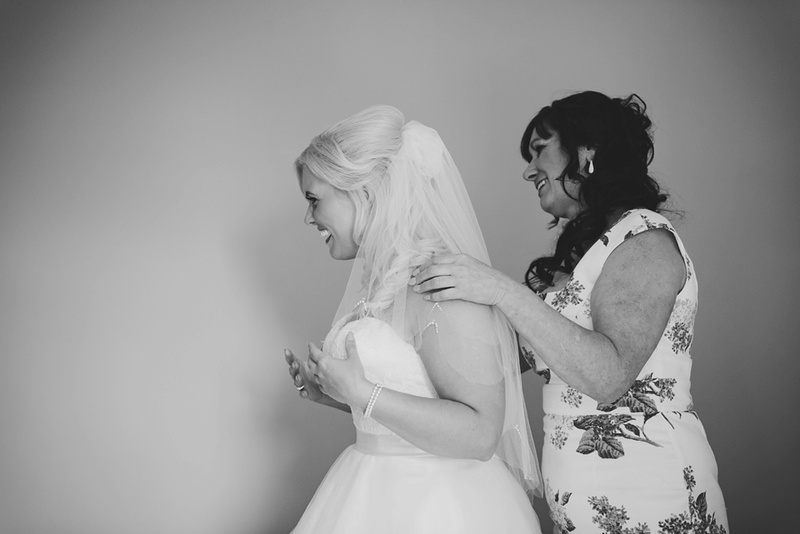 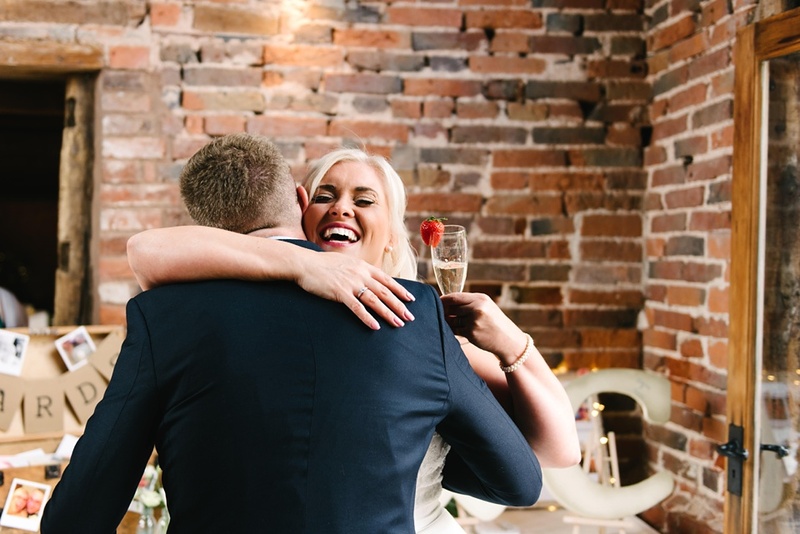 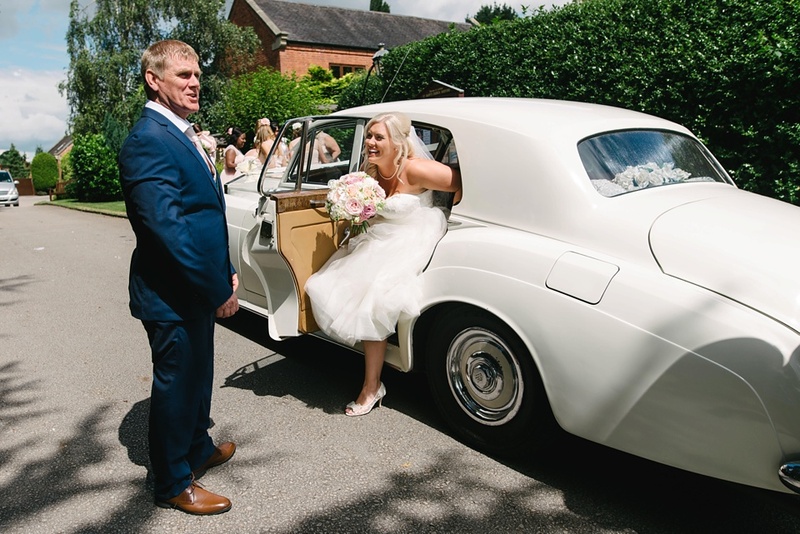 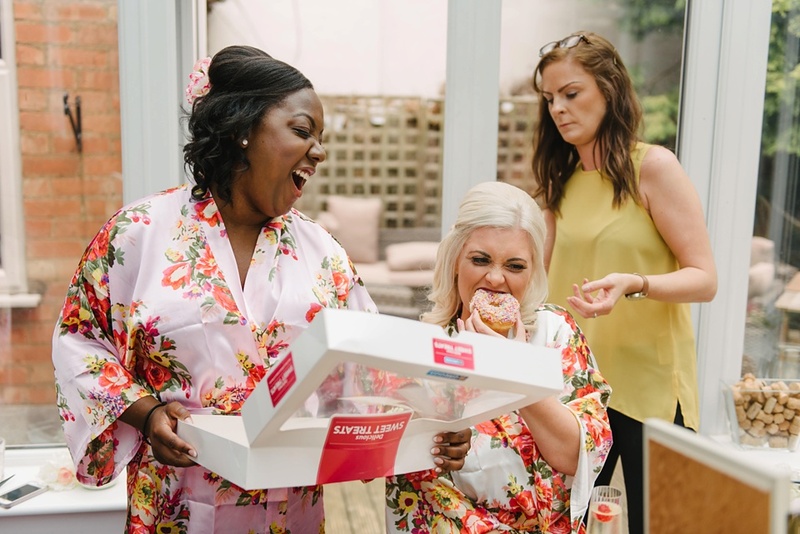 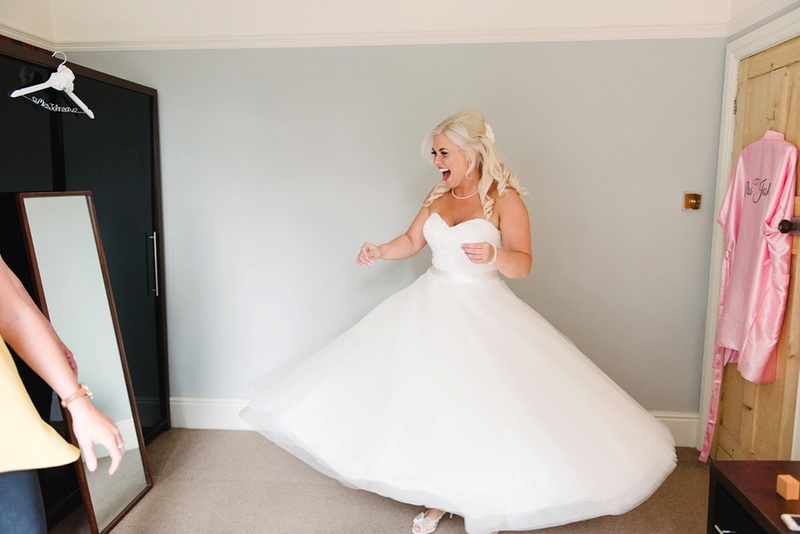 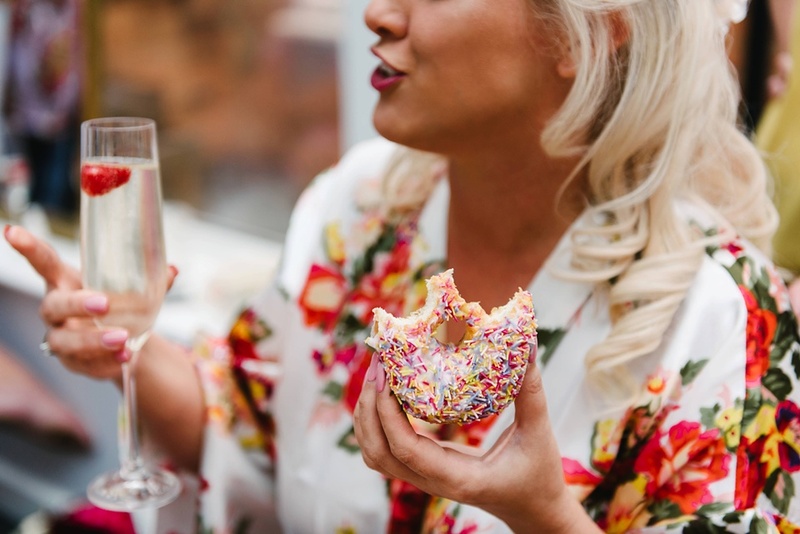 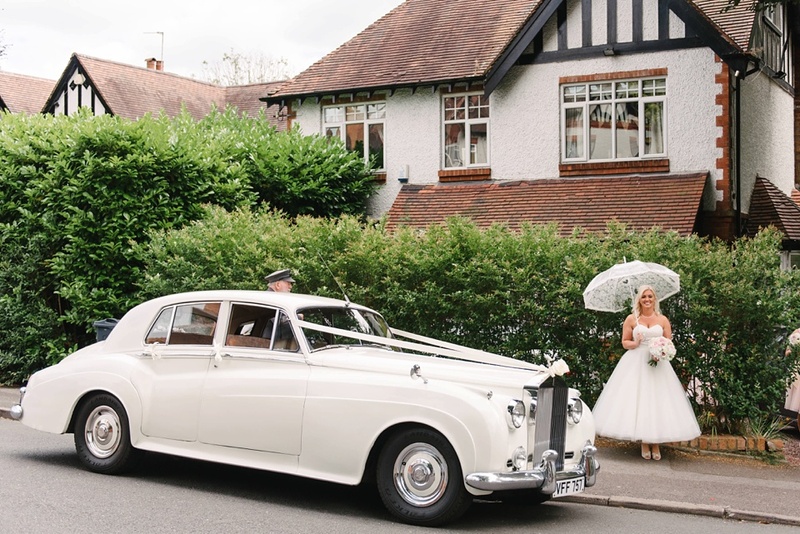 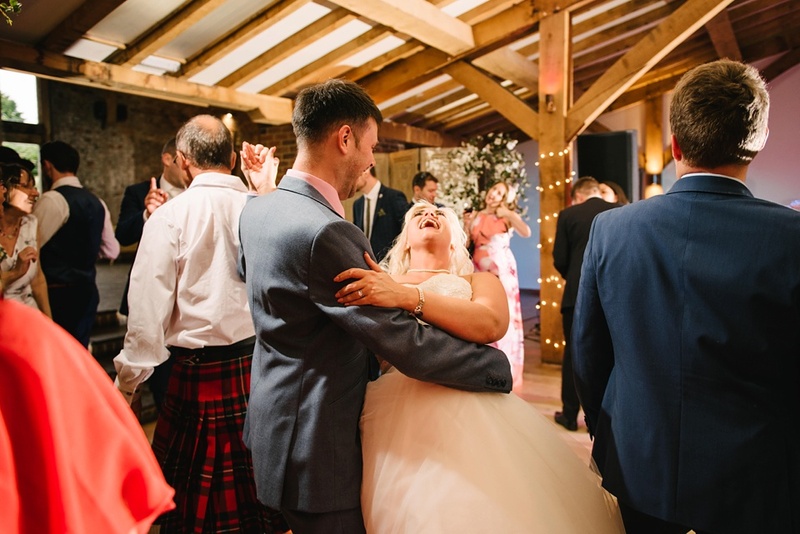 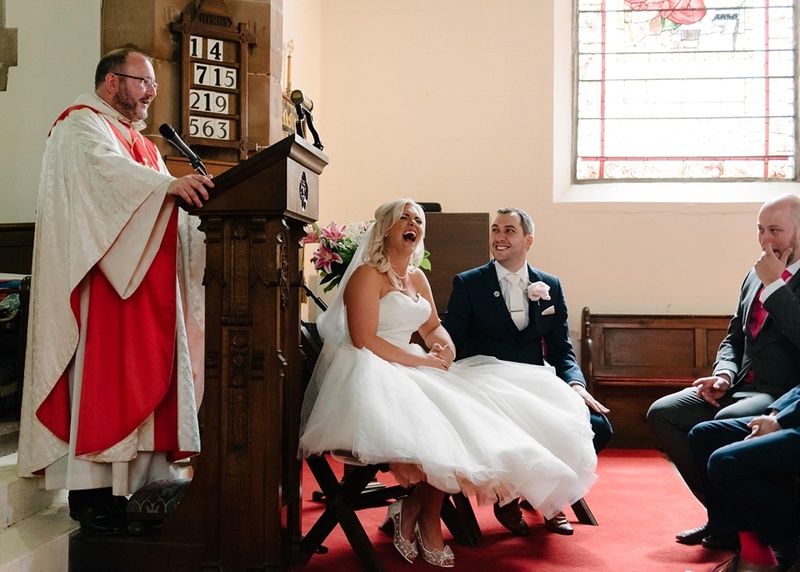 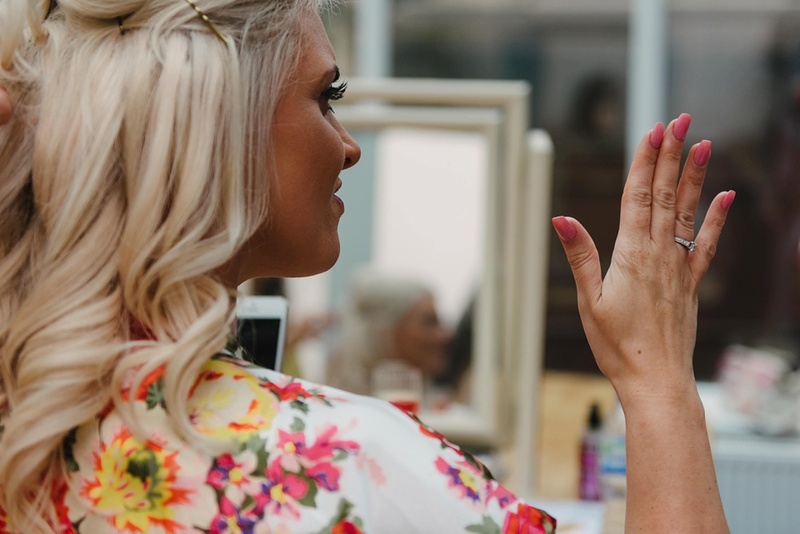 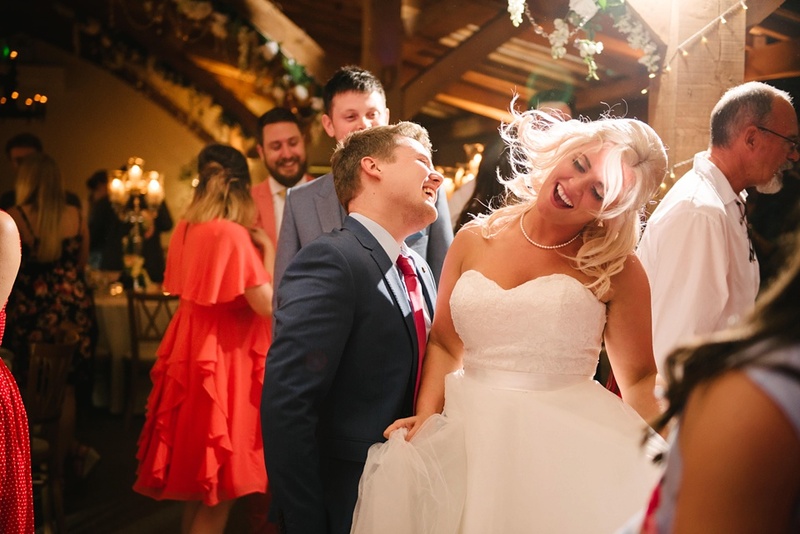 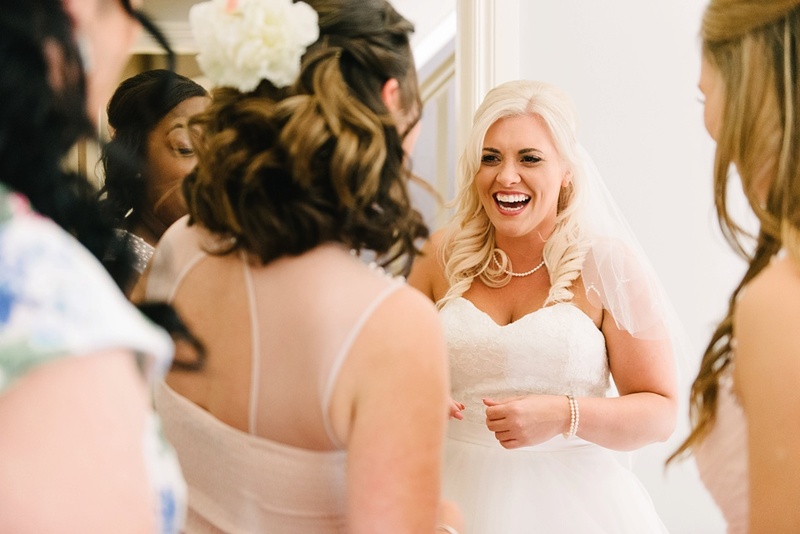 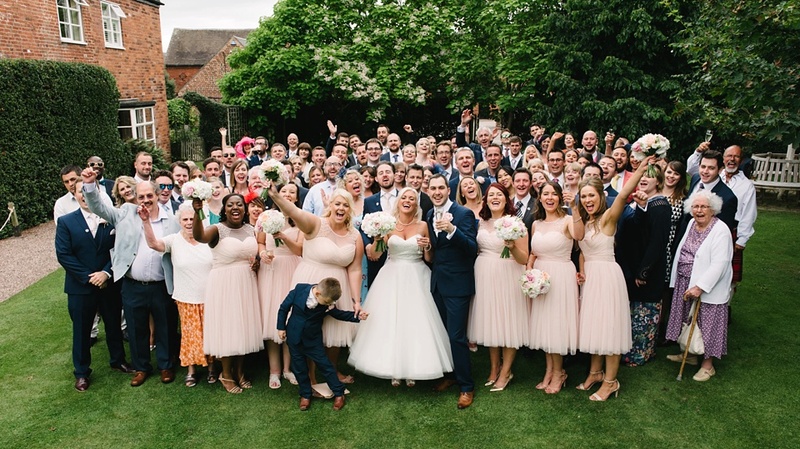 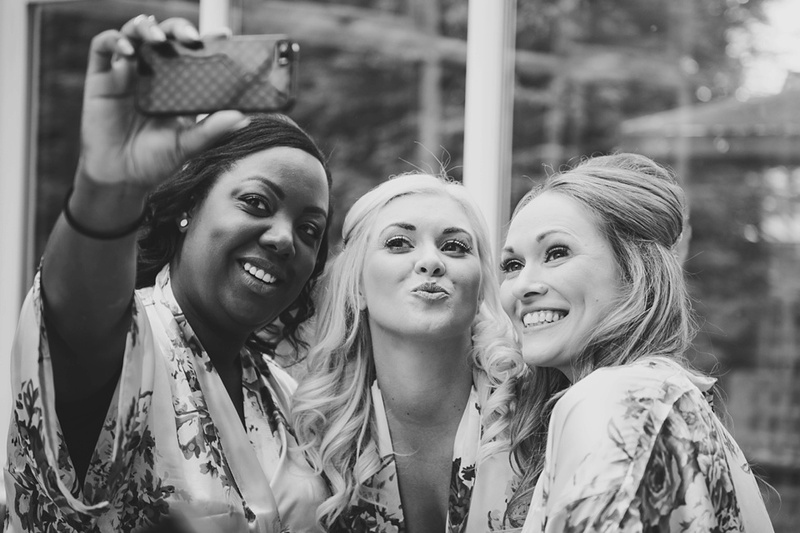 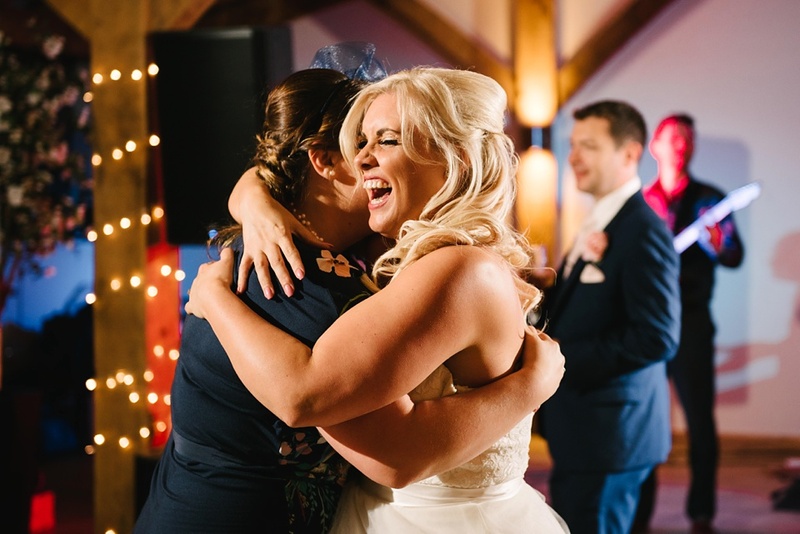 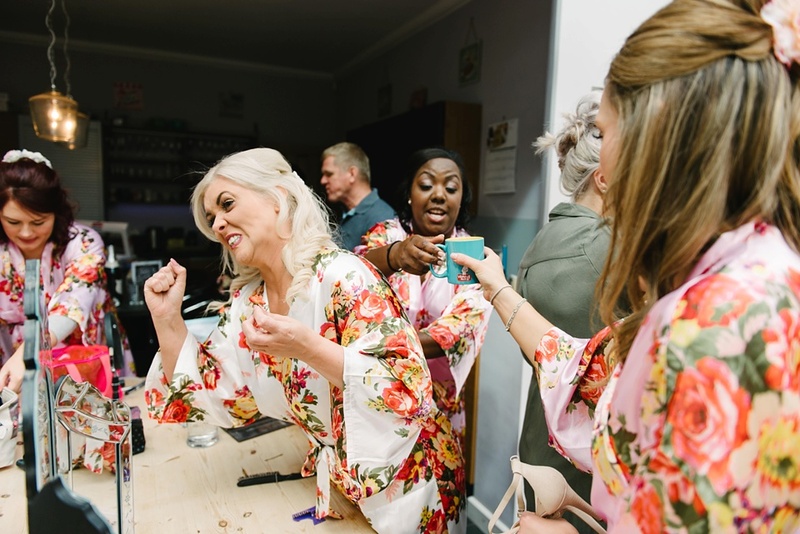 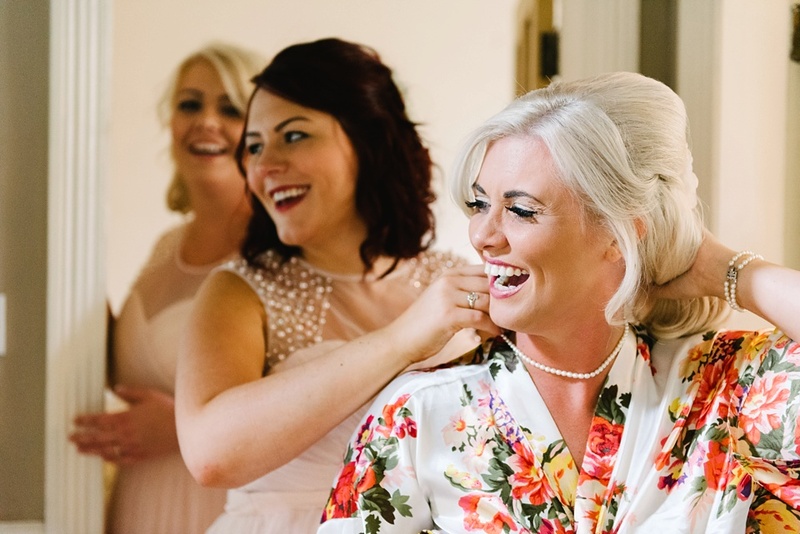 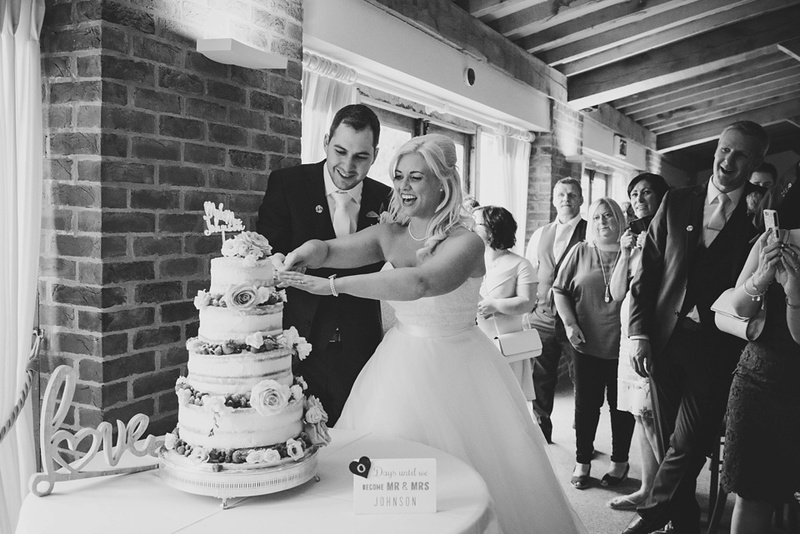 All her friends and family gathered at their homestead in Birmingham on the big day, and the morning included lots of rollers, doughnuts and prosecco! 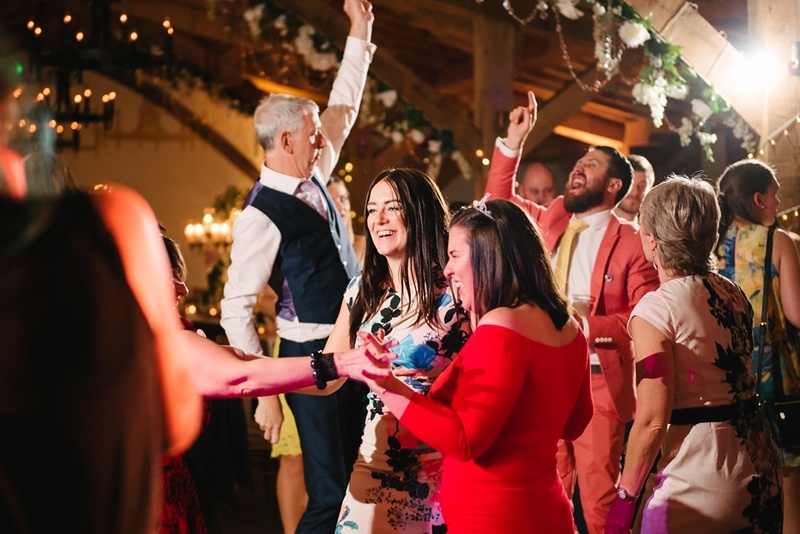 A full-on party atmosphere from the start! 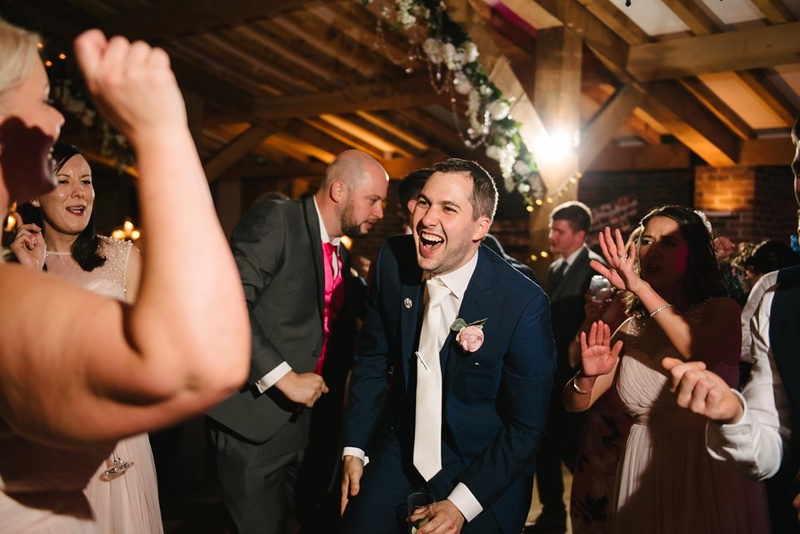 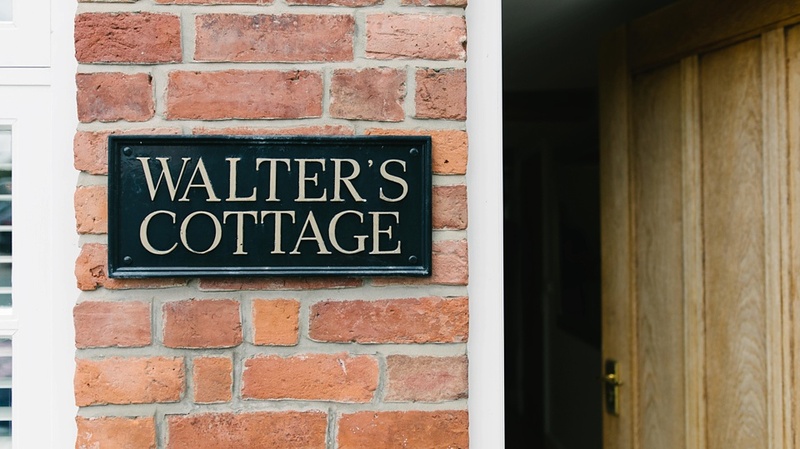 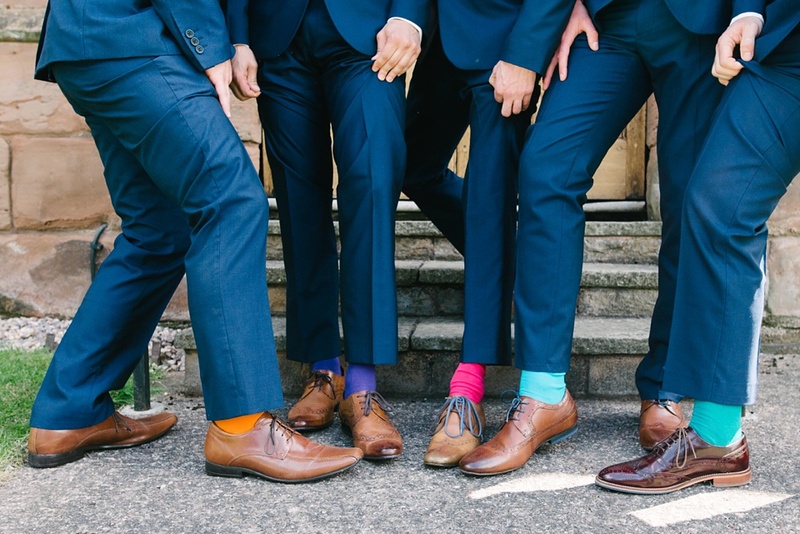 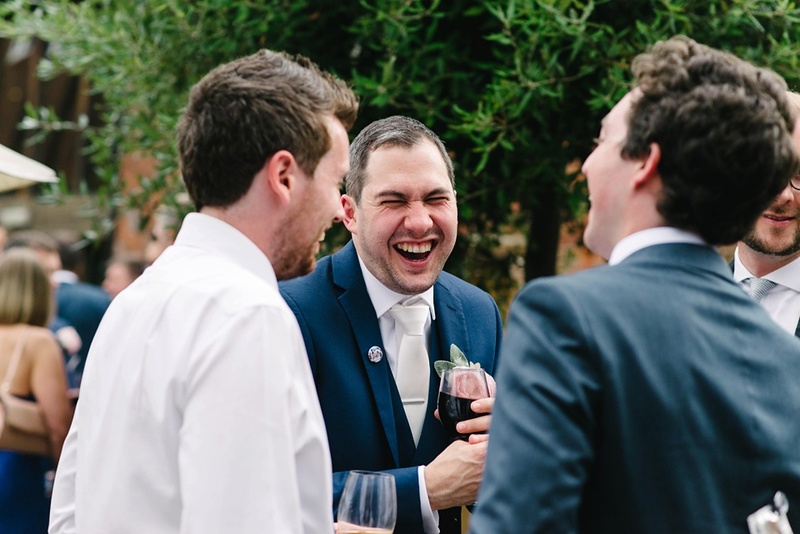 With the boys getting ready in their cosy cottage near the church in Weeford, we made an eventful journey across Birmingham and arrived to see all the guests seated sporting ‘Team Mol’ or ‘Team Col’ badges. 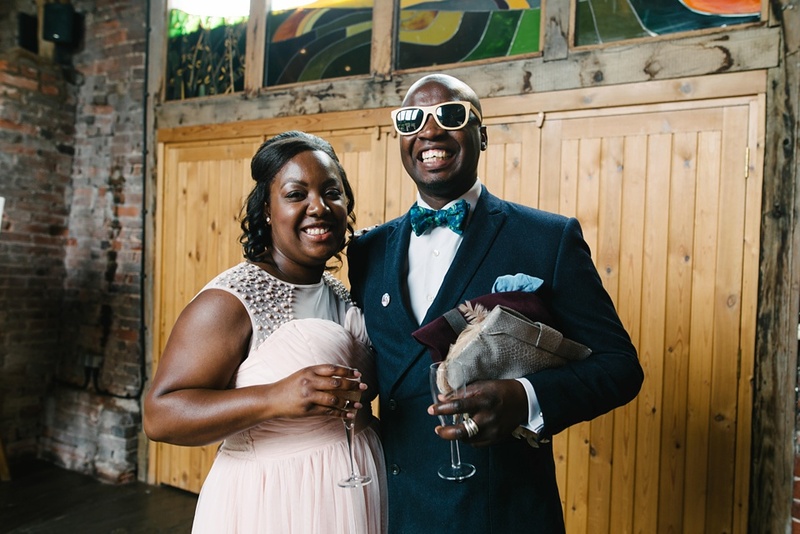 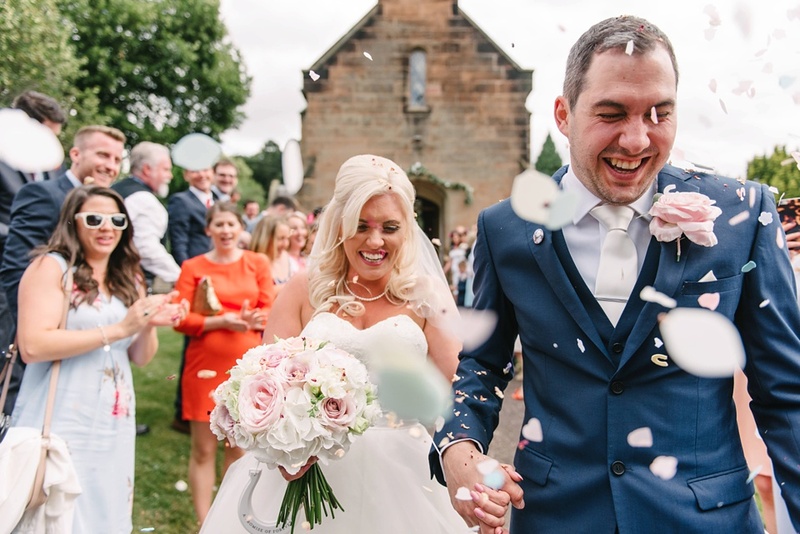 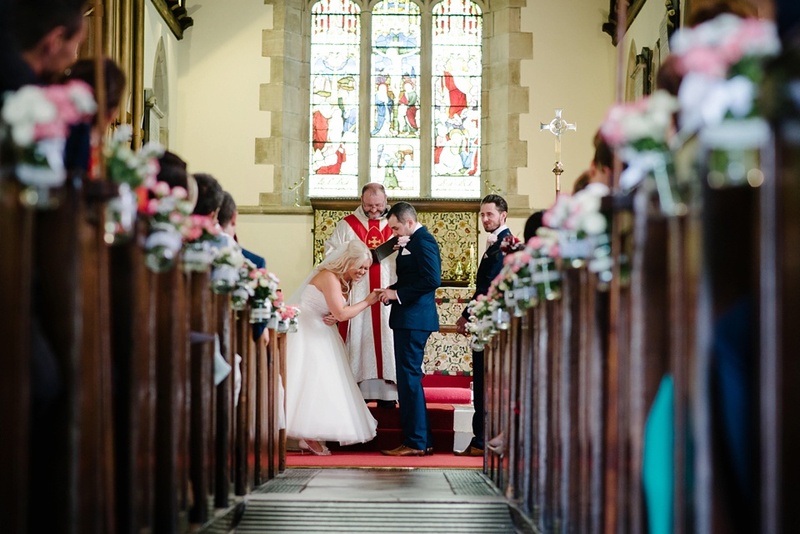 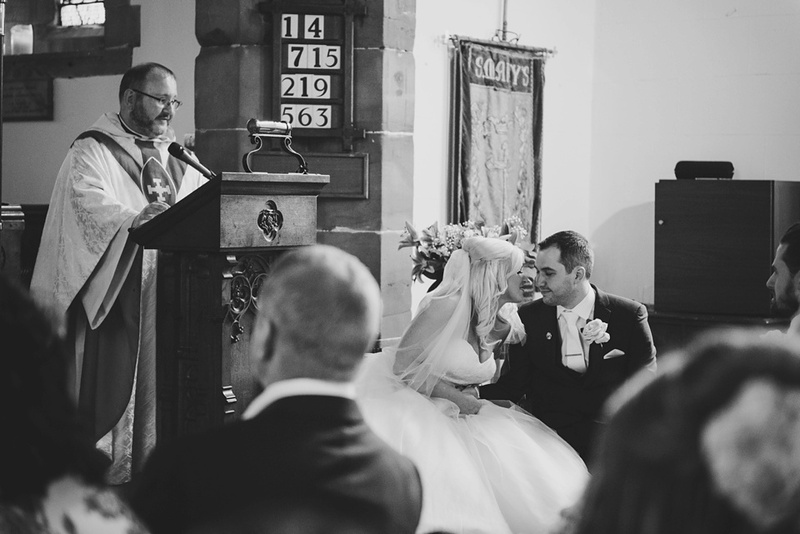 Their ceremony was filled with love and more than a few giggles, and they exited church to a barrage of confetti and petals. 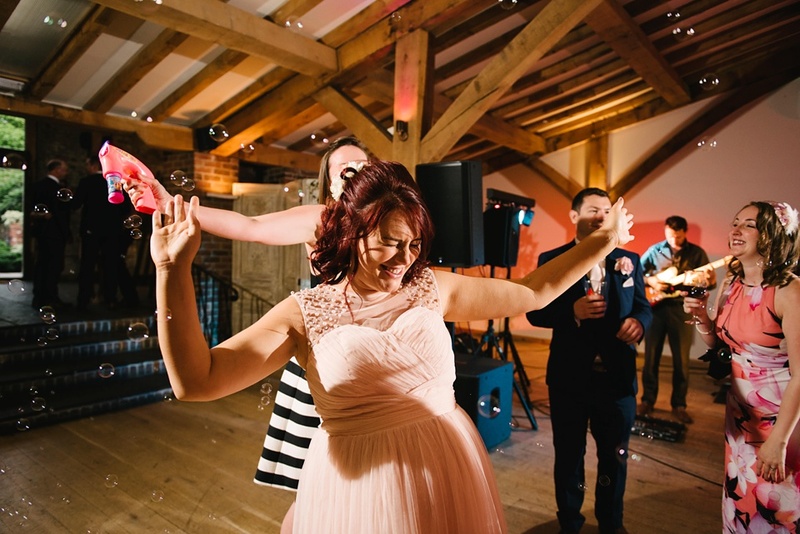 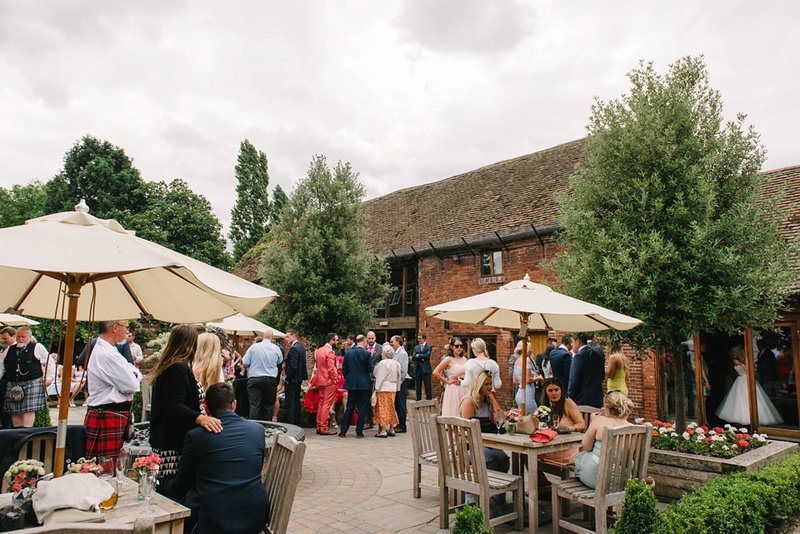 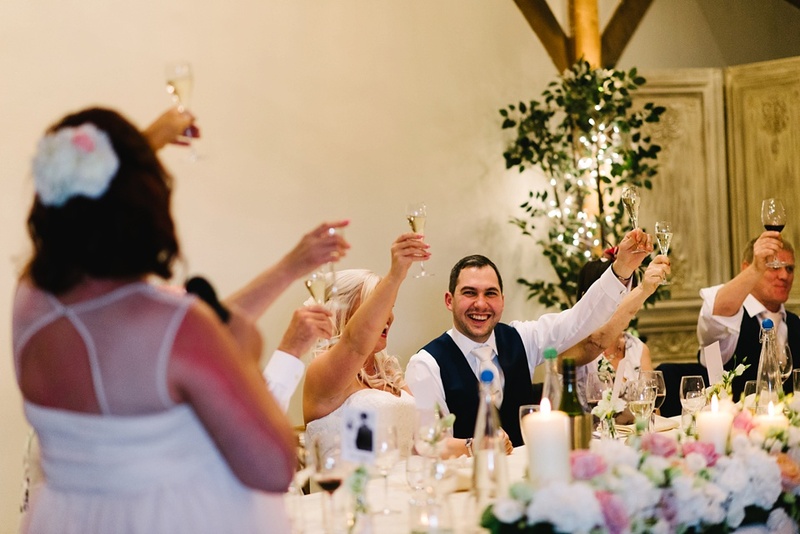 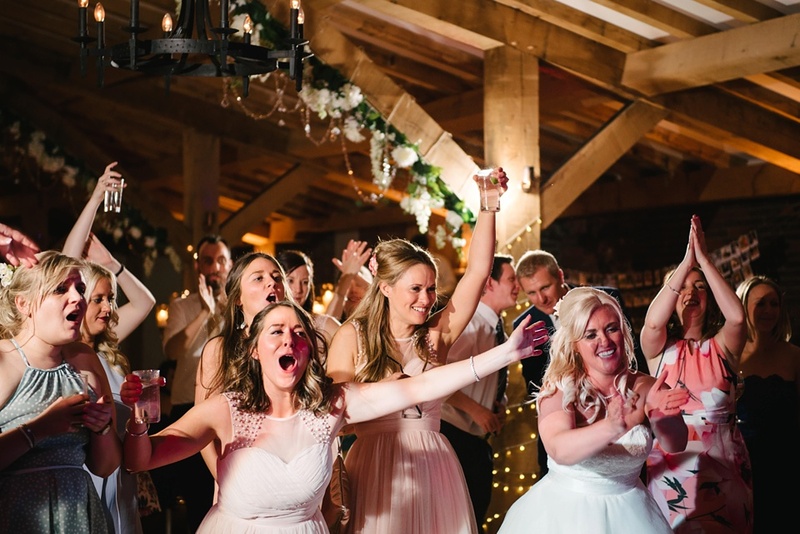 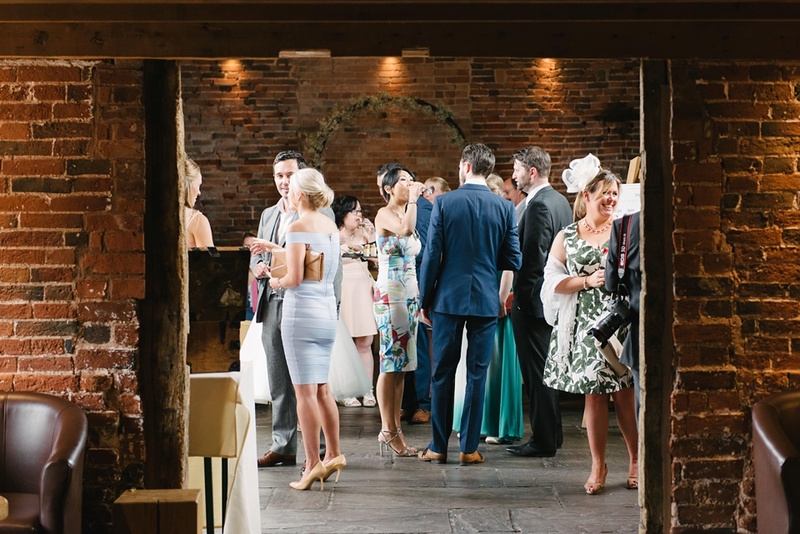 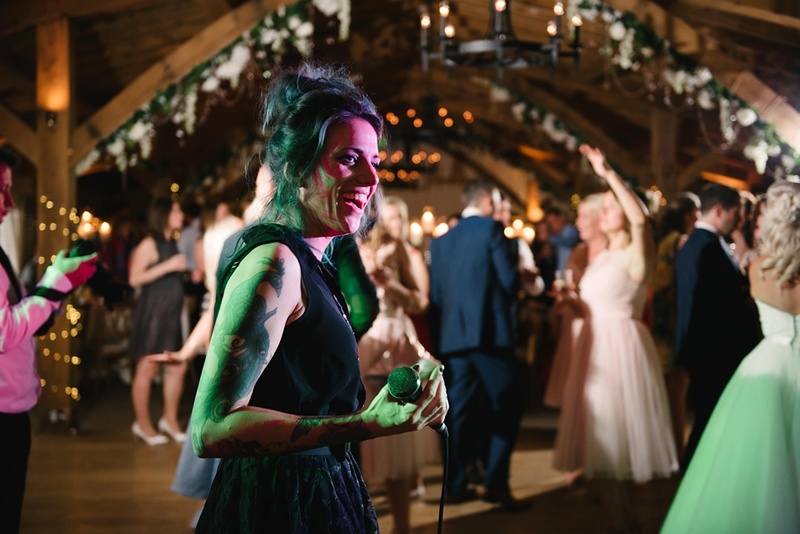 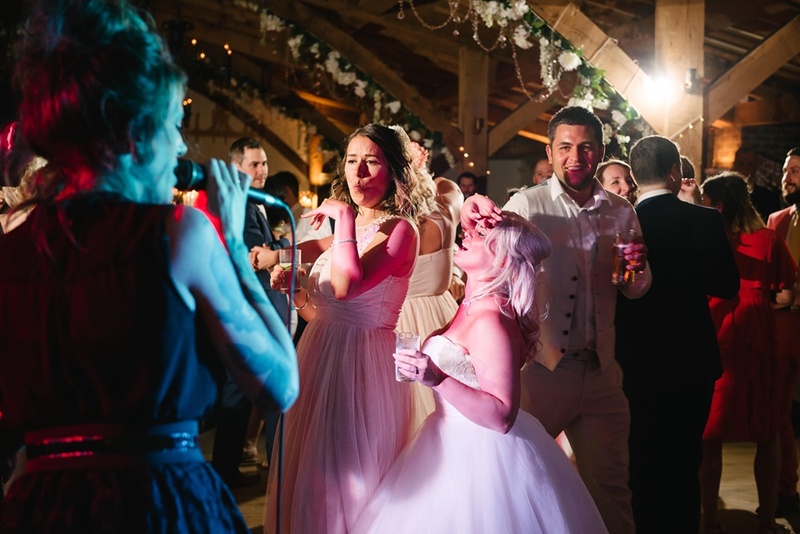 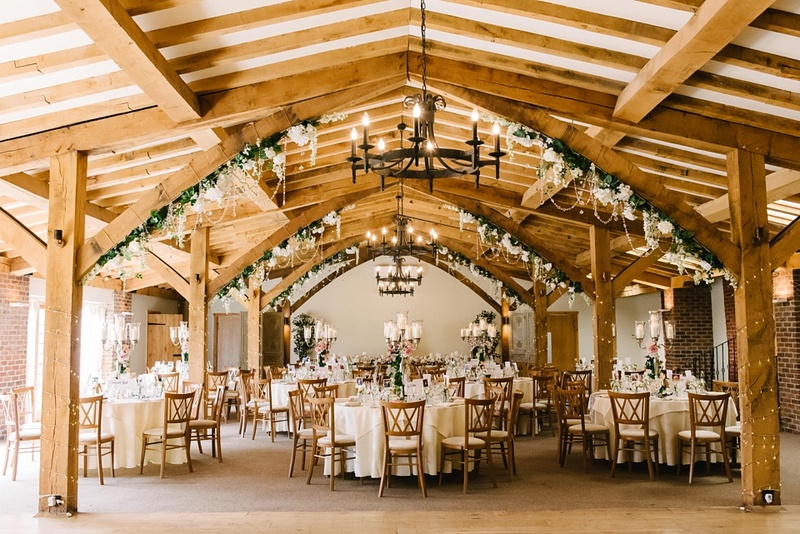 Festivities got underway in the gorgeous barn at Packington Moor Farm in Lichfield, and guests were treated to the prosecco bar (a theme developing here?!) 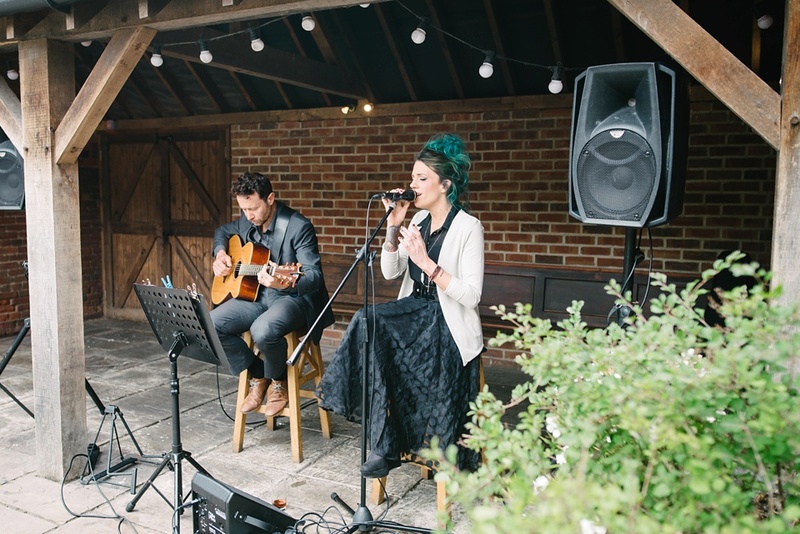 and the musical goodness that is the Monroe Duo. 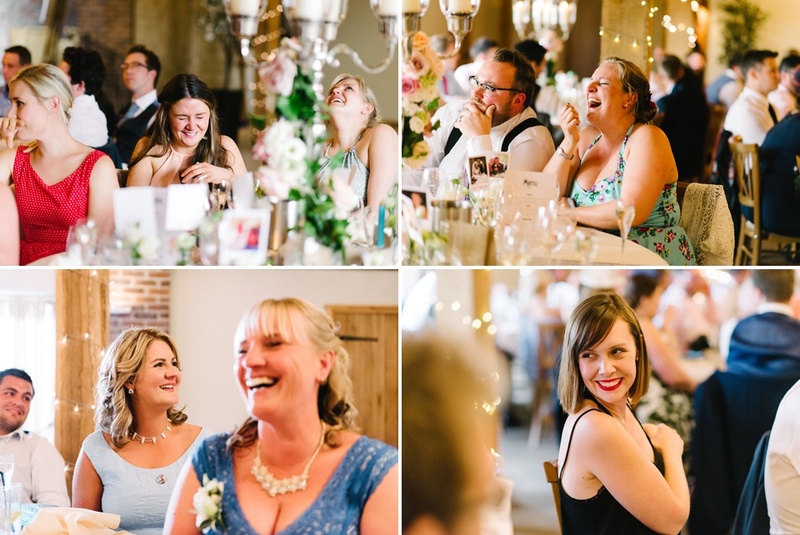 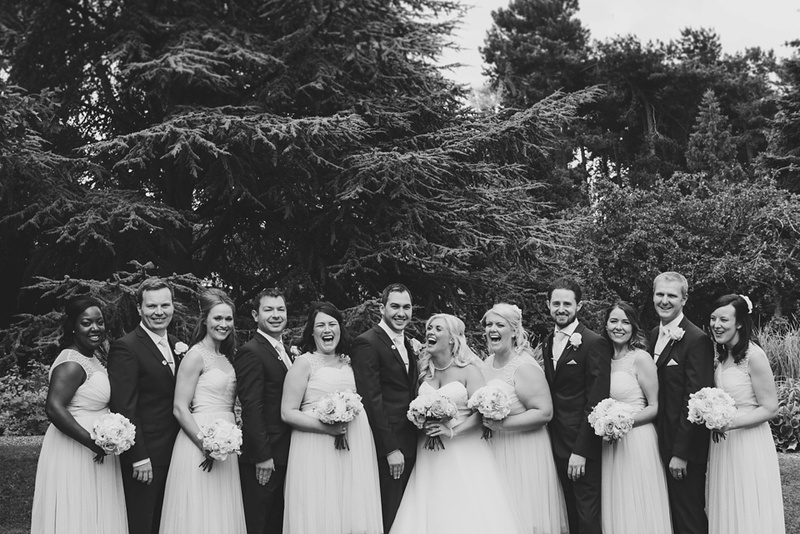 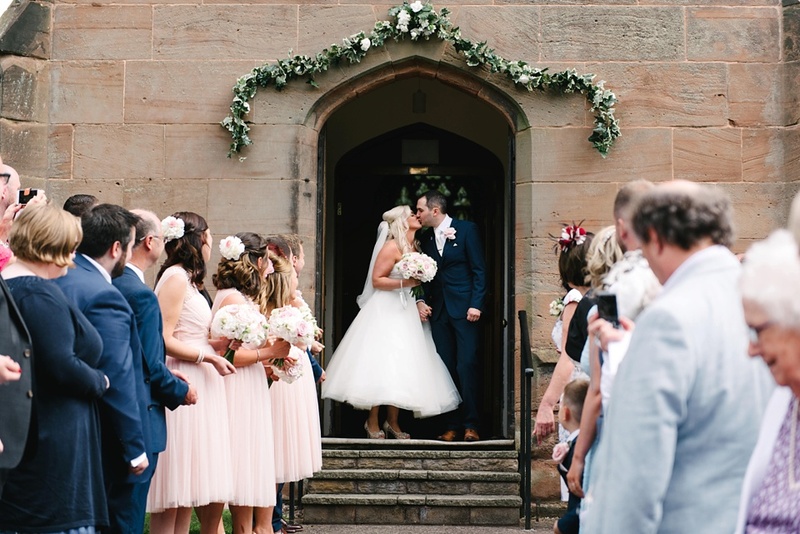 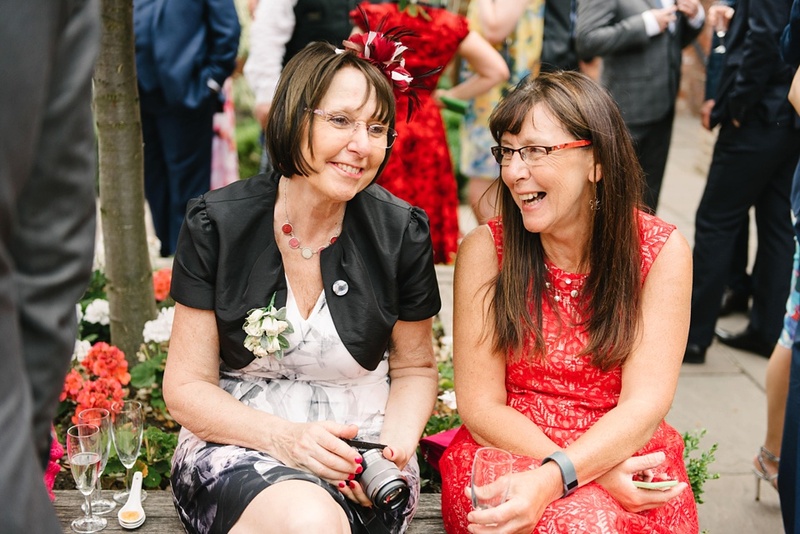 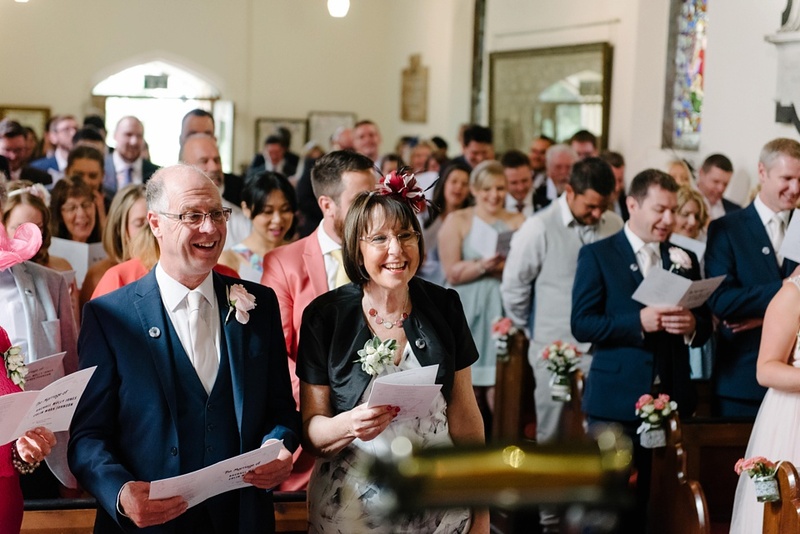 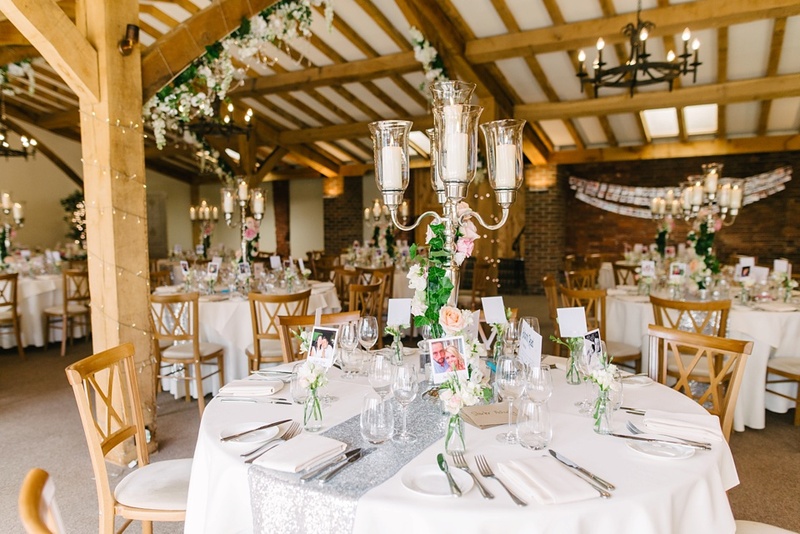 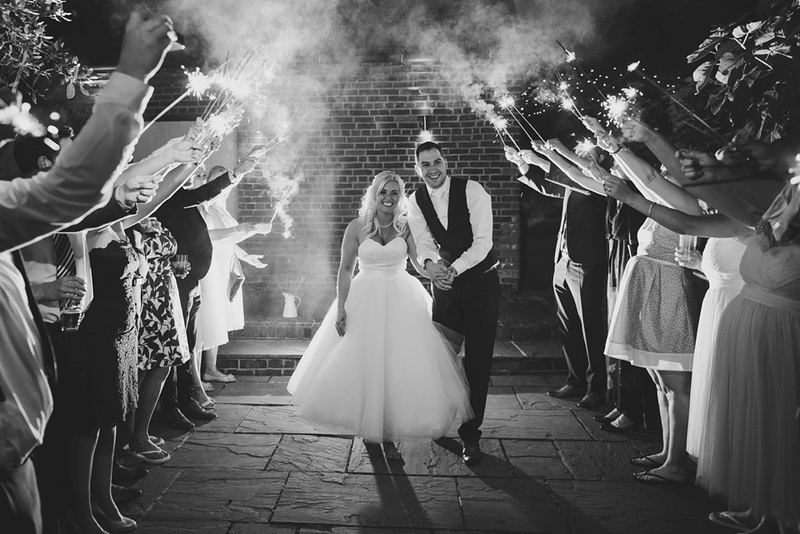 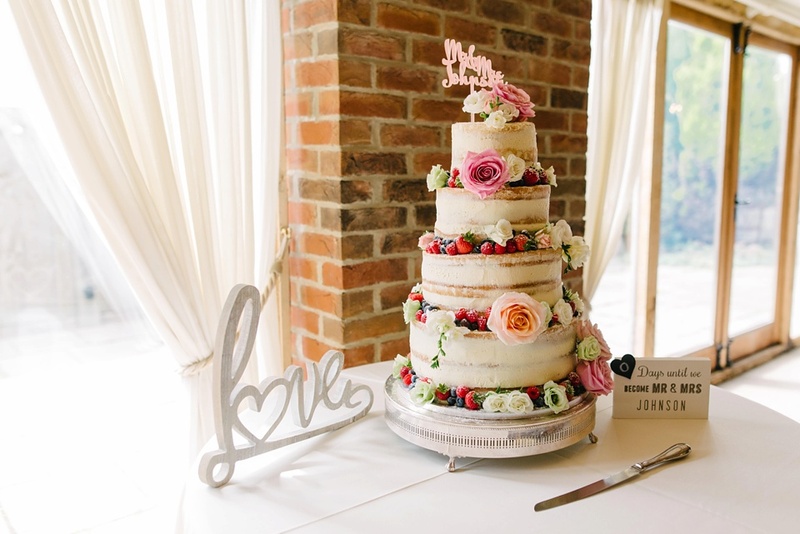 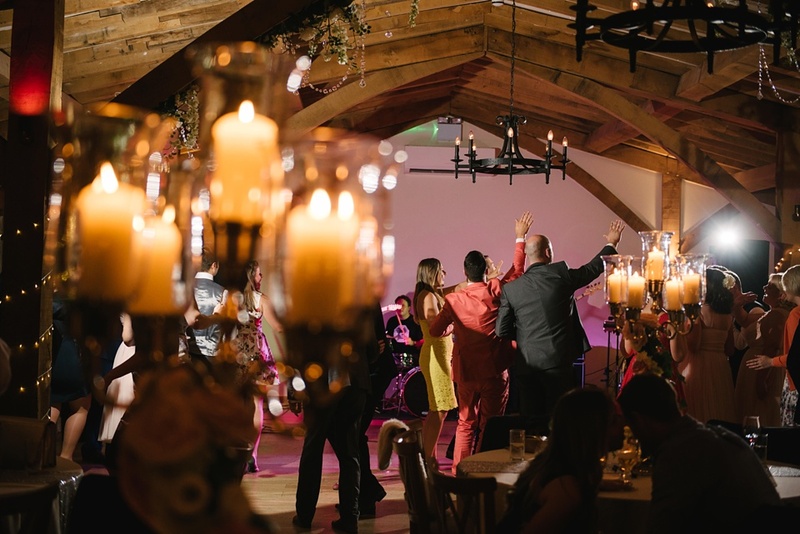 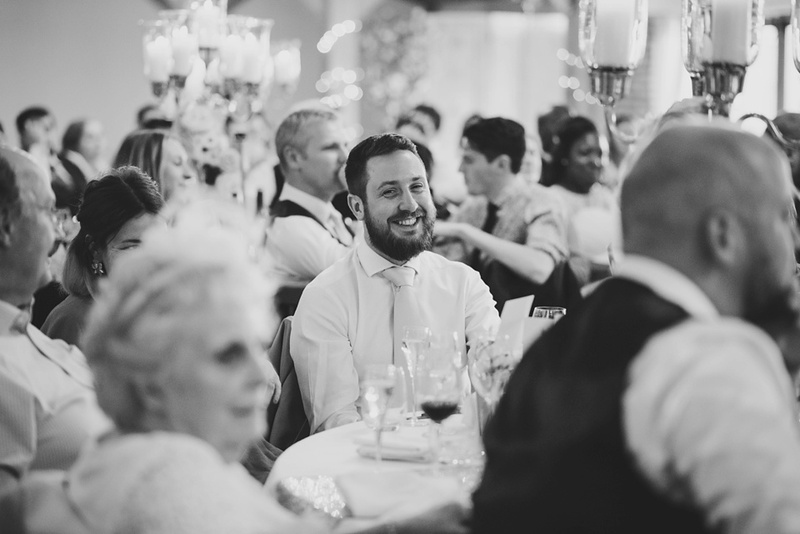 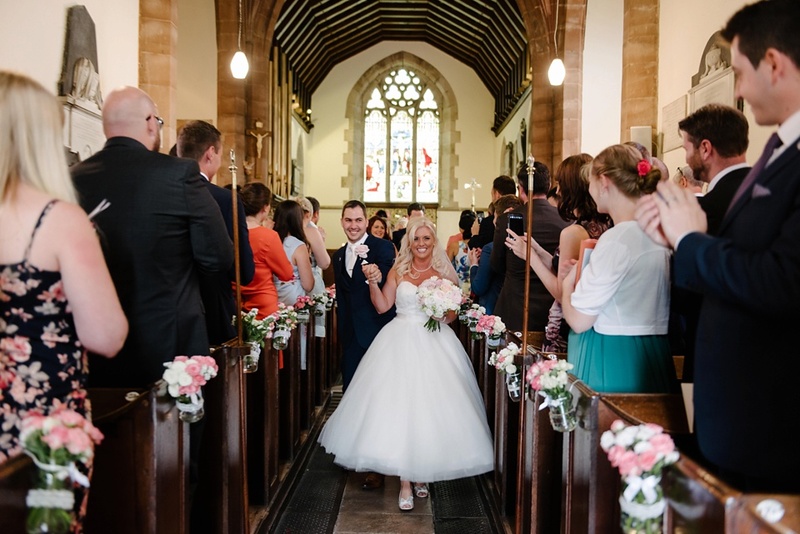 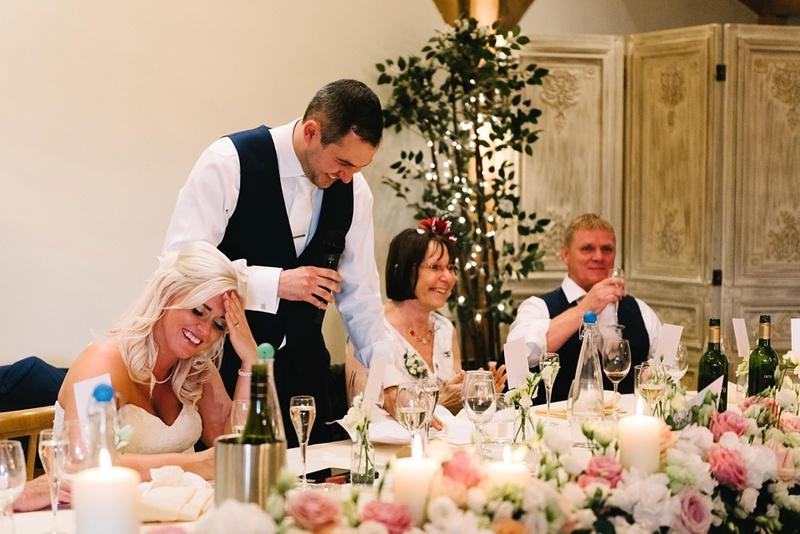 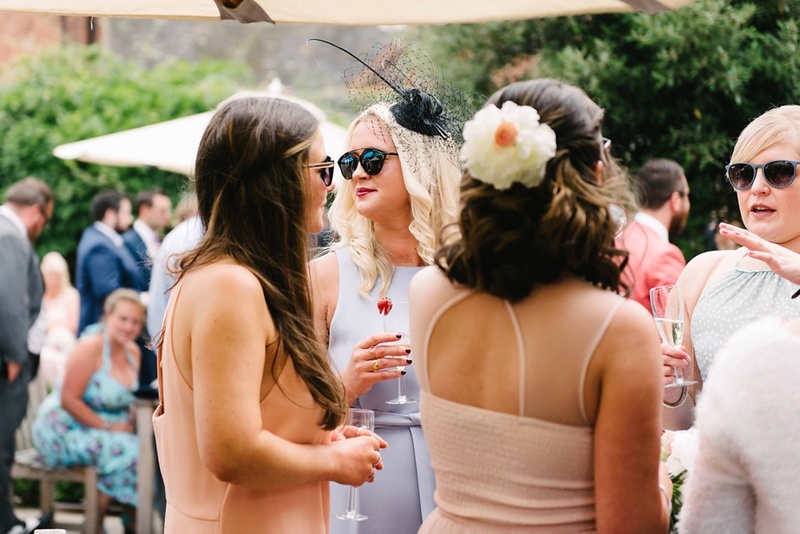 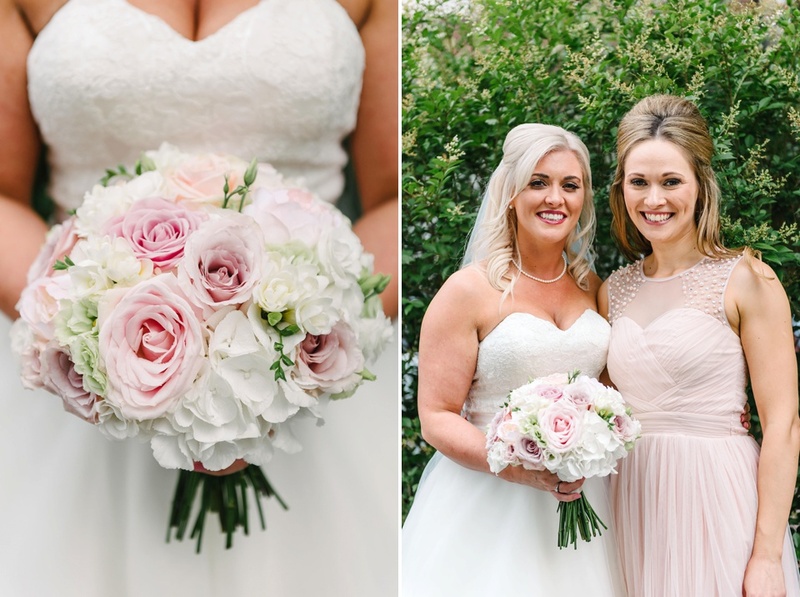 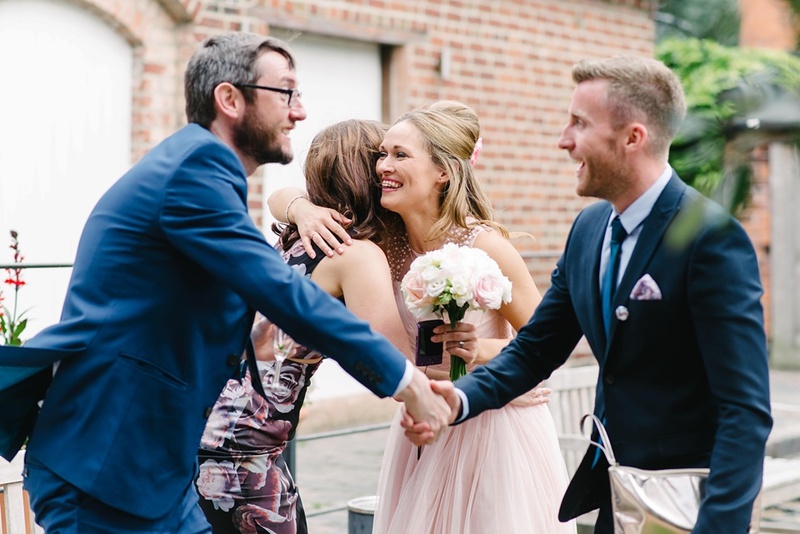 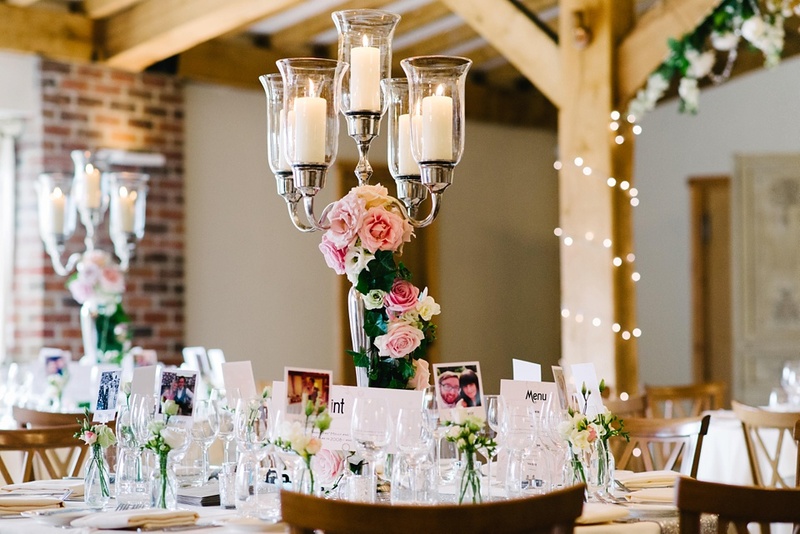 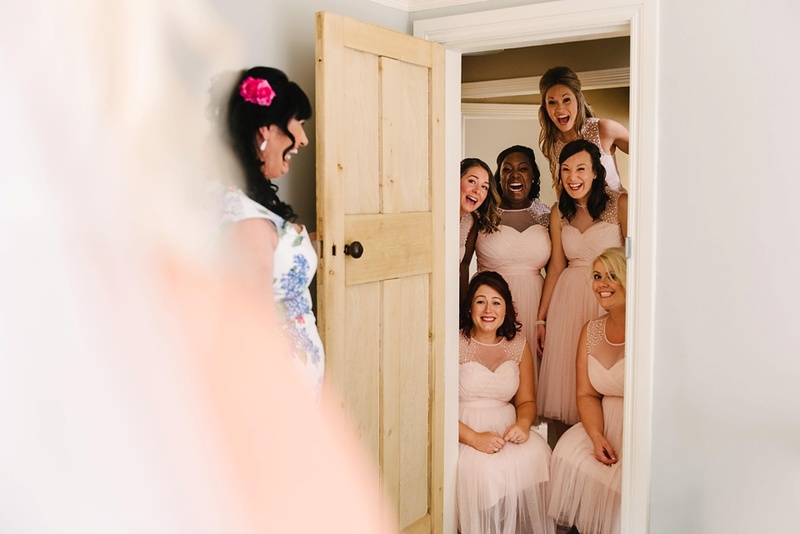 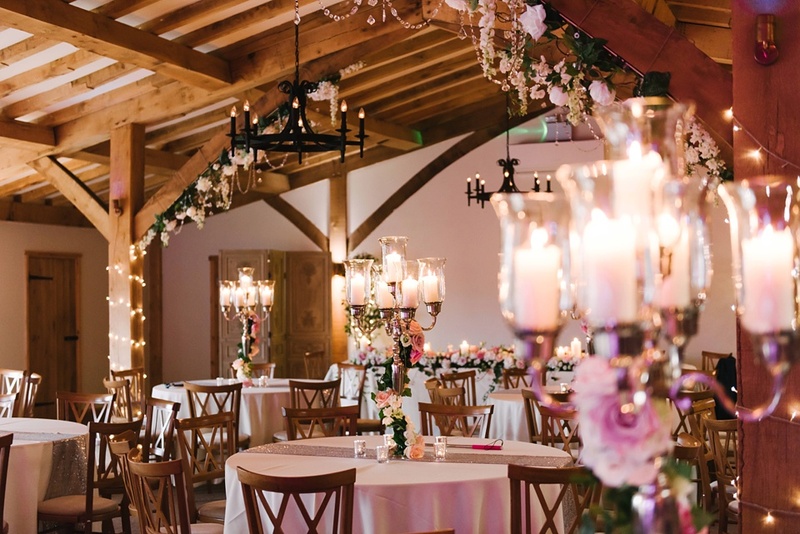 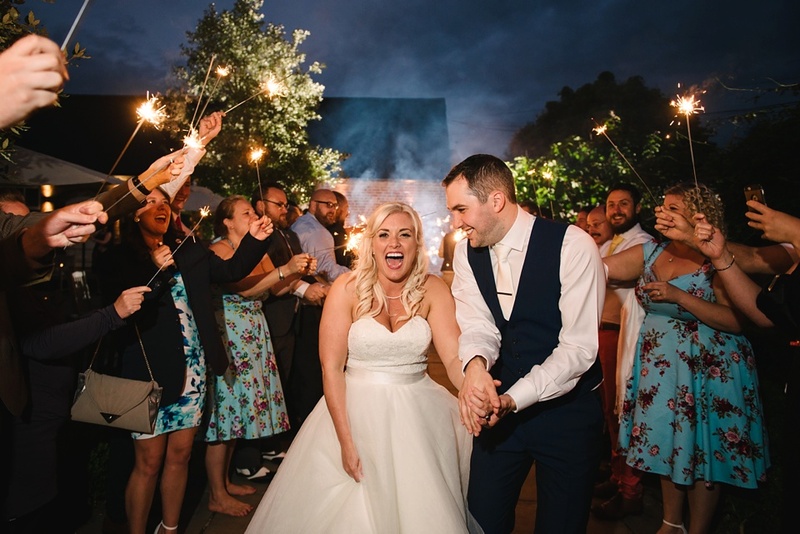 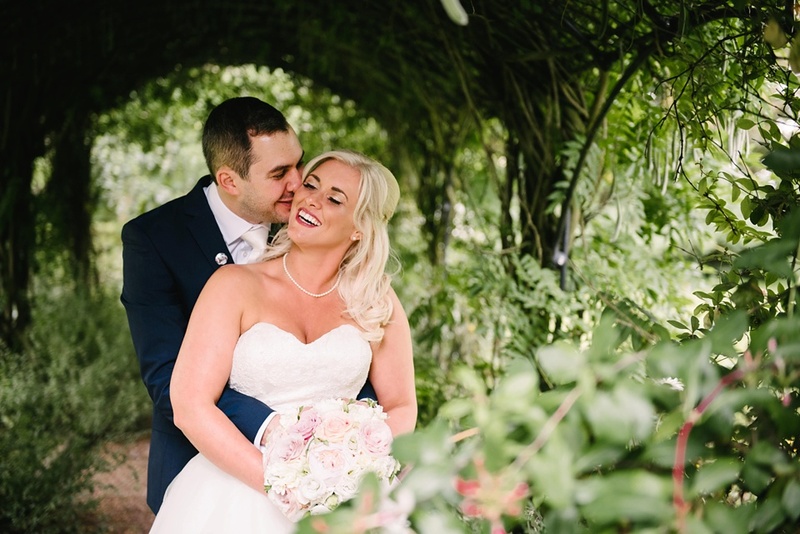 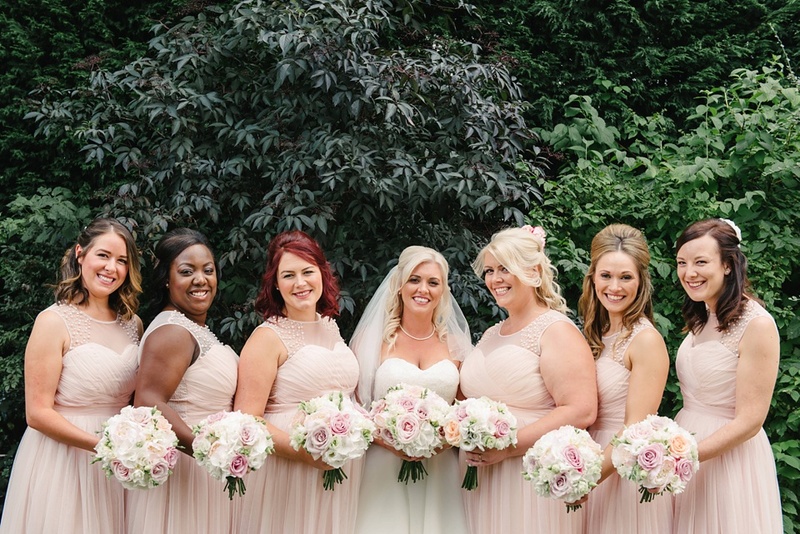 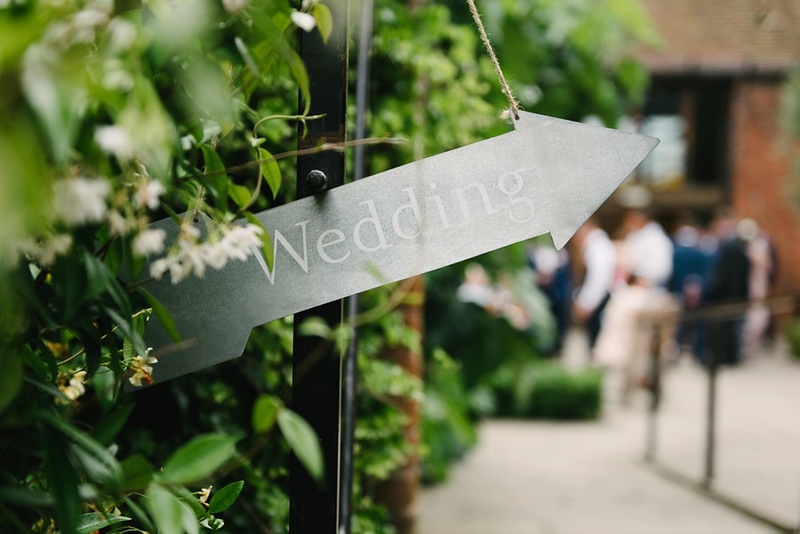 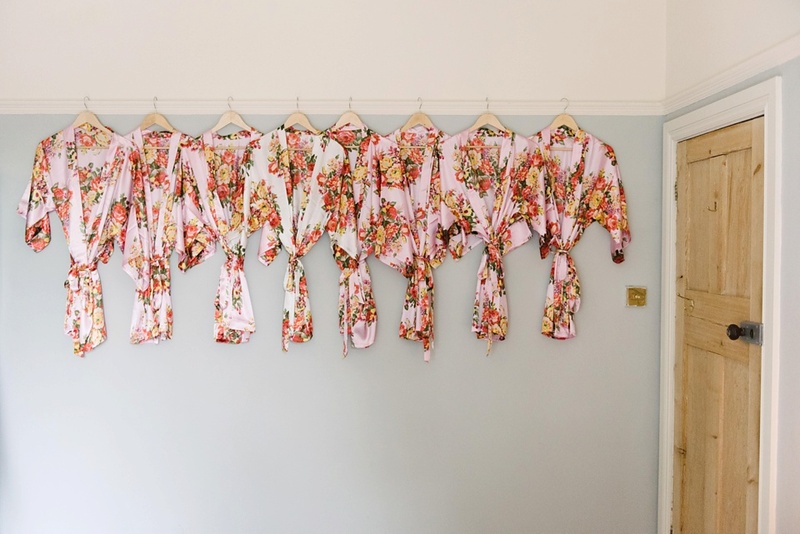 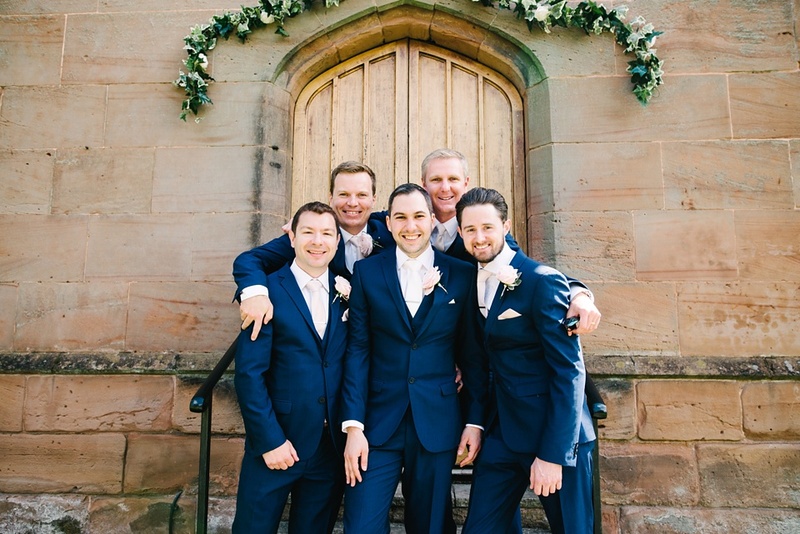 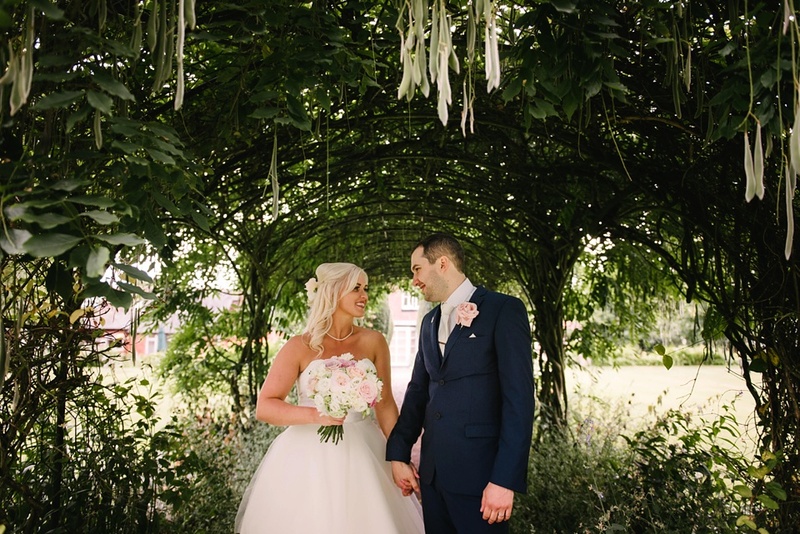 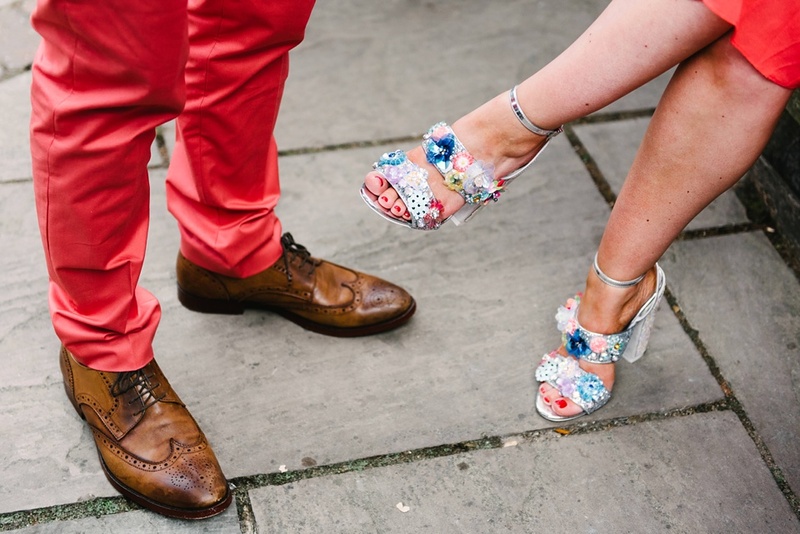 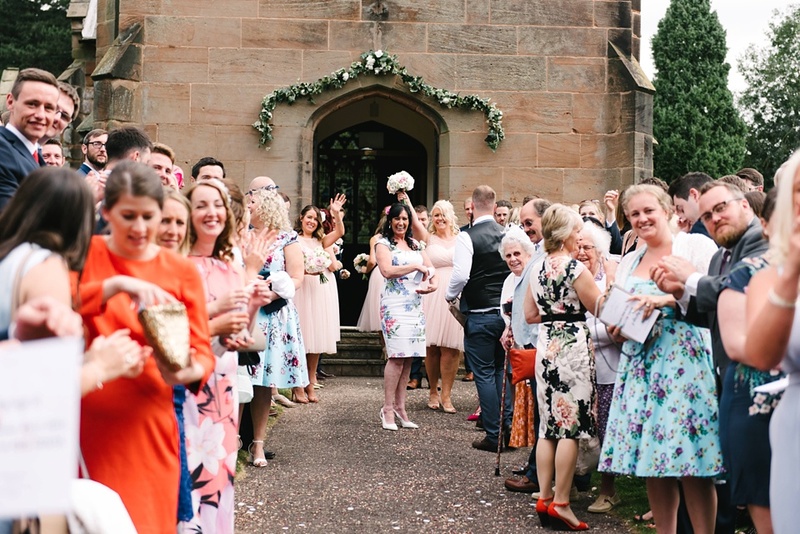 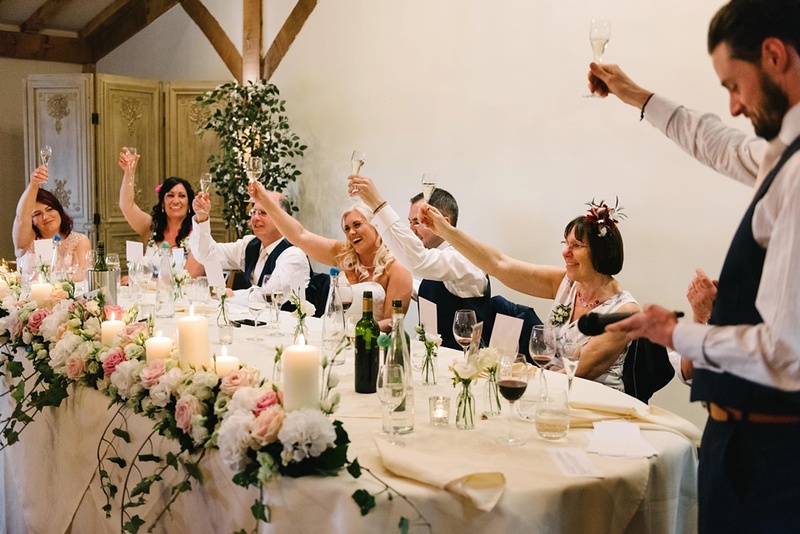 As the singing mixed with laughter and cuddles in the courtyard, there was plenty of detail to check out inside with bucketfuls of fresh flowers, crystal garlands and mercury candelabras. 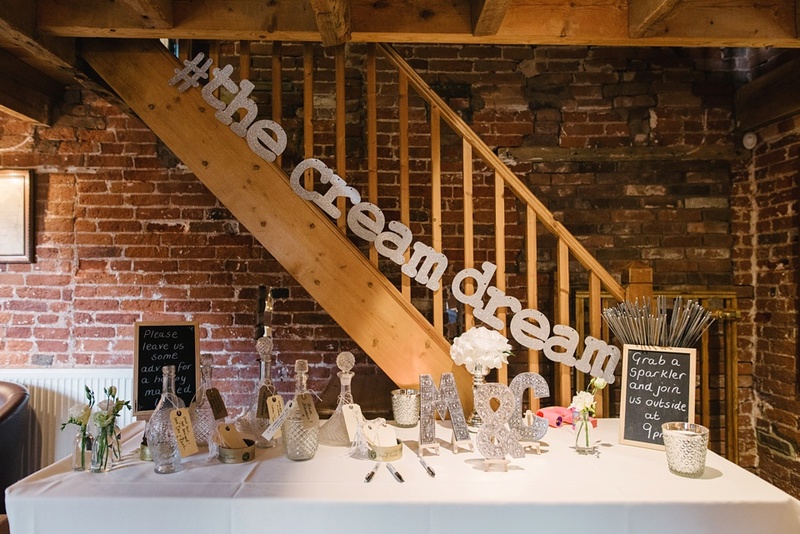 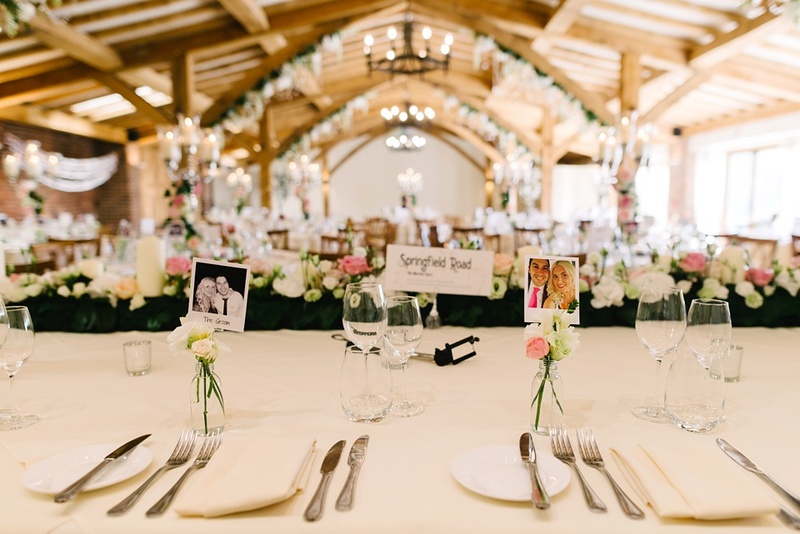 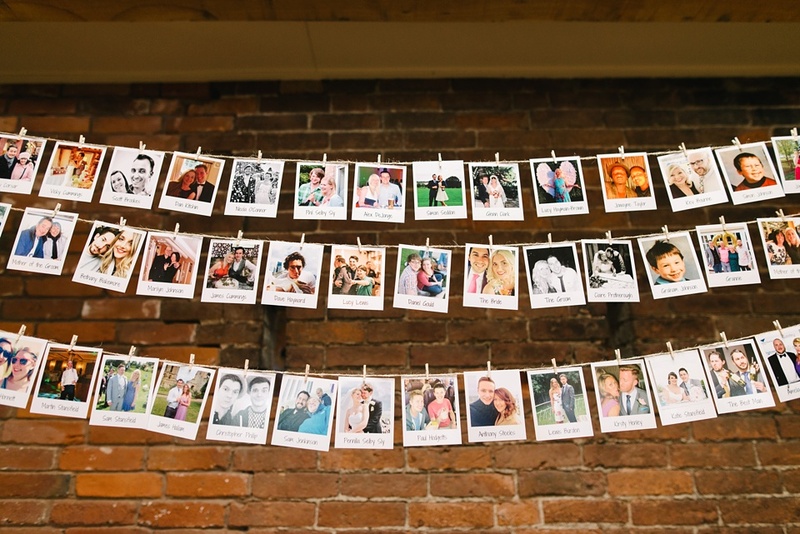 Every guest had their Facebook profile picture on a polaroid for their place setting, and the couple’s nickname for their home ‘the cream dream’ due to its abundance of magnolia paint when they moved in was given the glittery banner treatment! 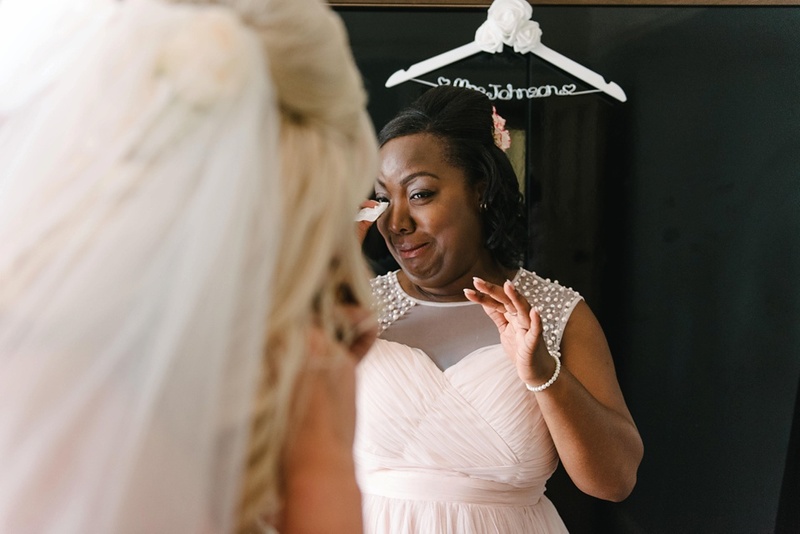 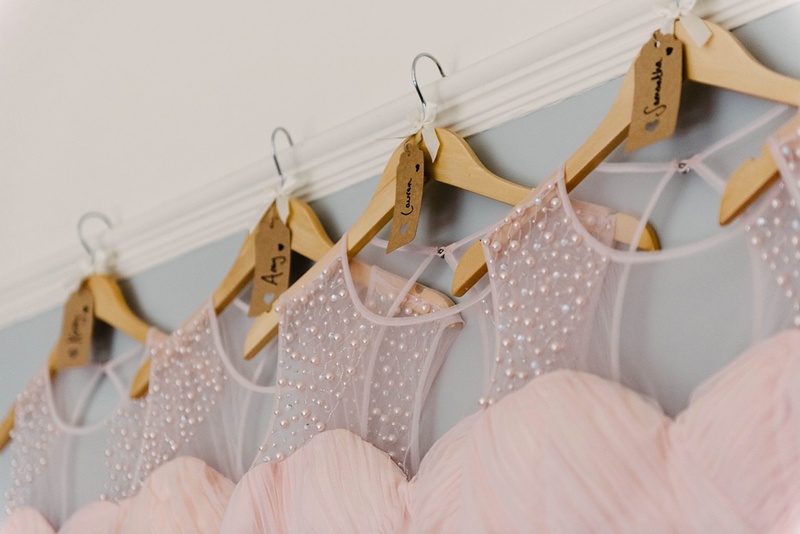 So many personal touches done so glamorously. 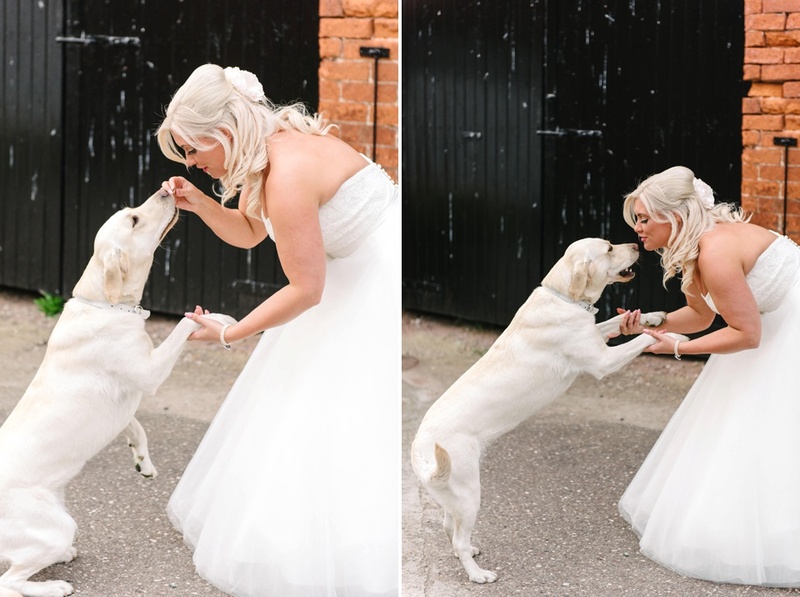 Their beloved Labrador Cassie made an appearance before the serious business of getting on the dance floor began. 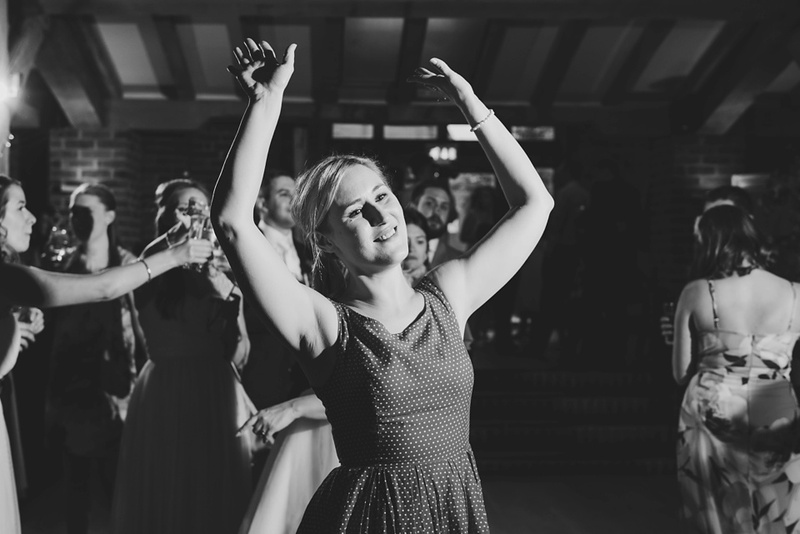 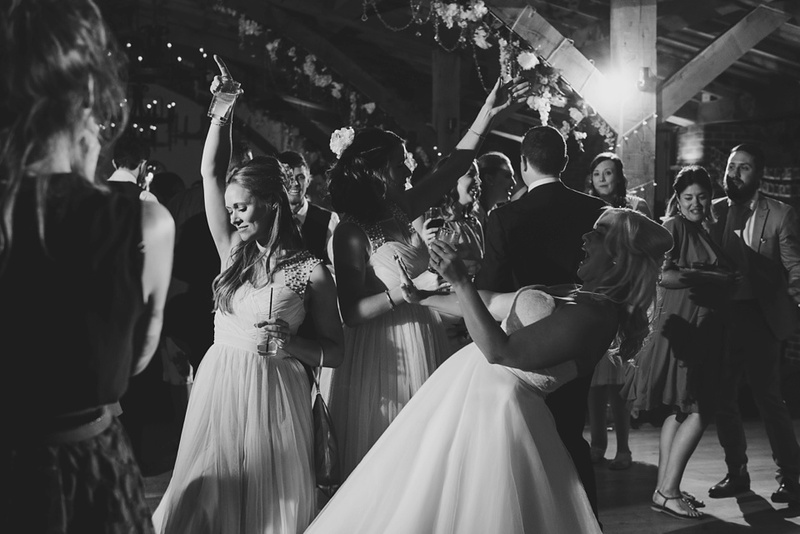 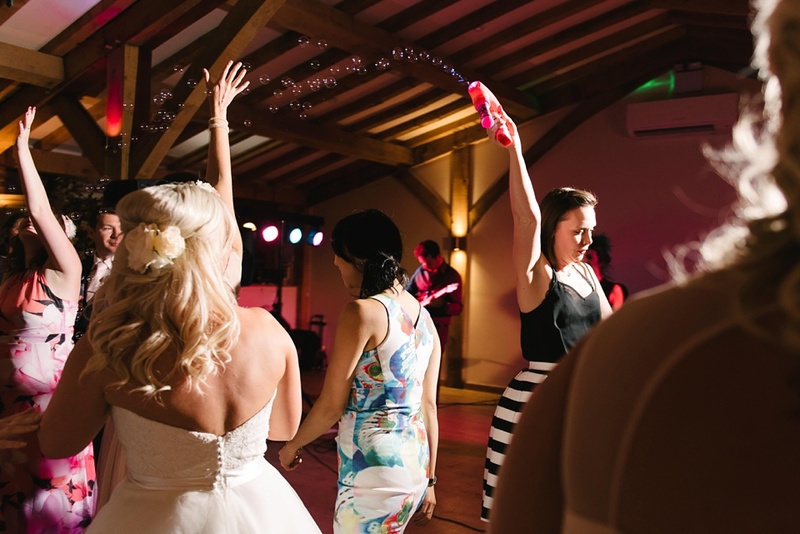 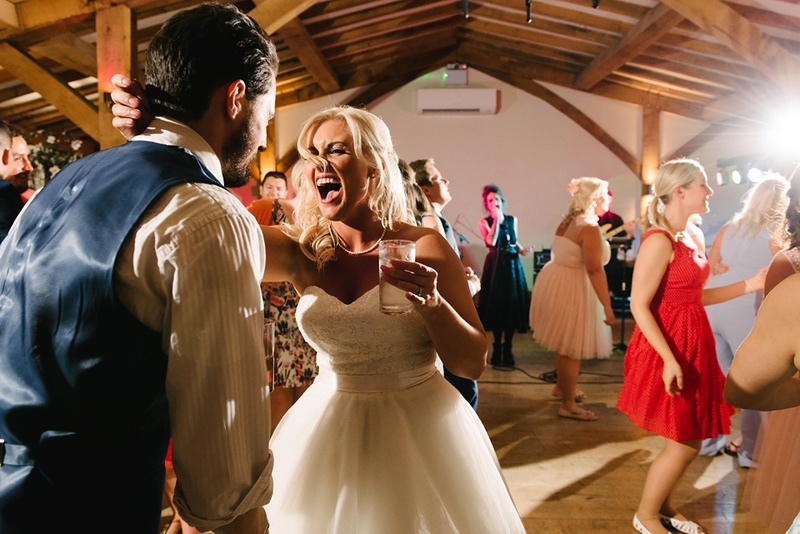 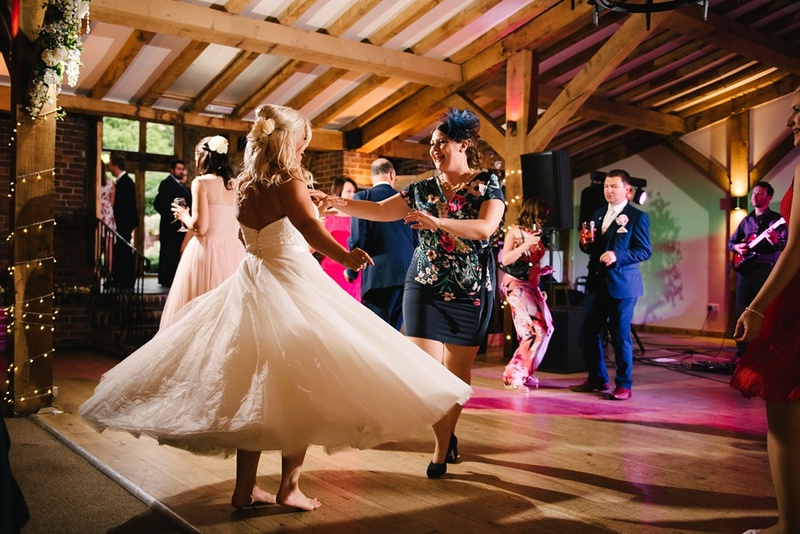 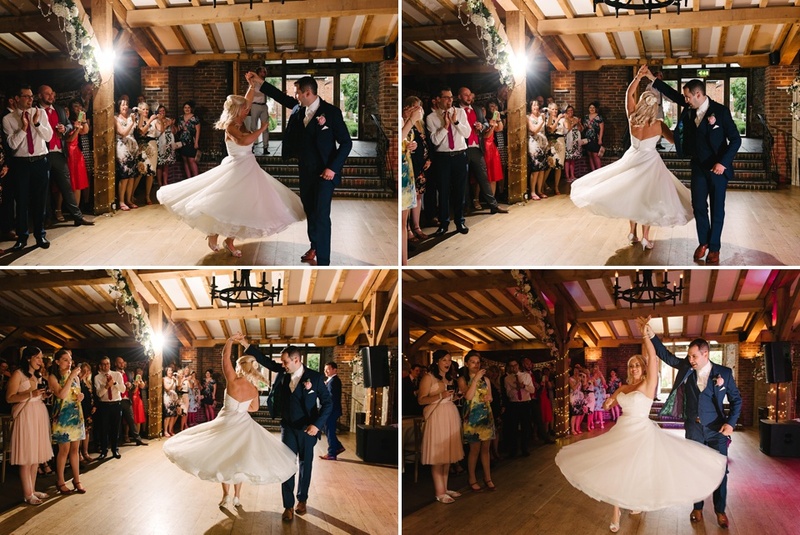 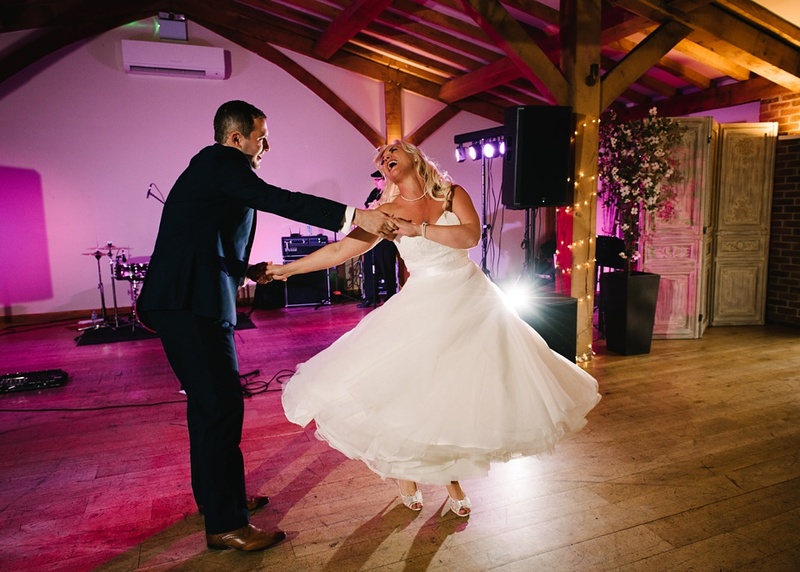 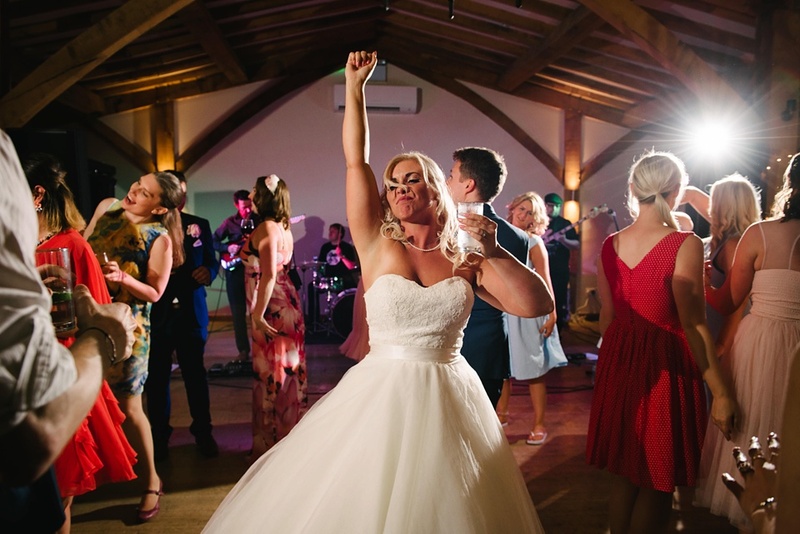 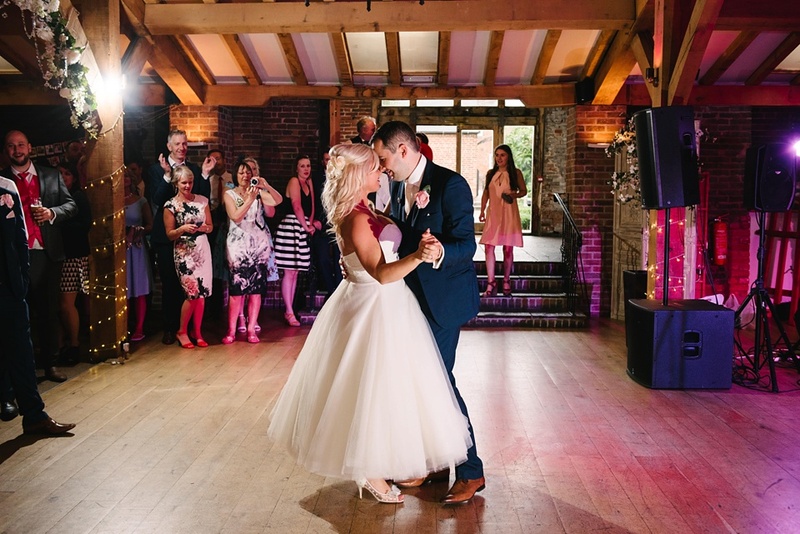 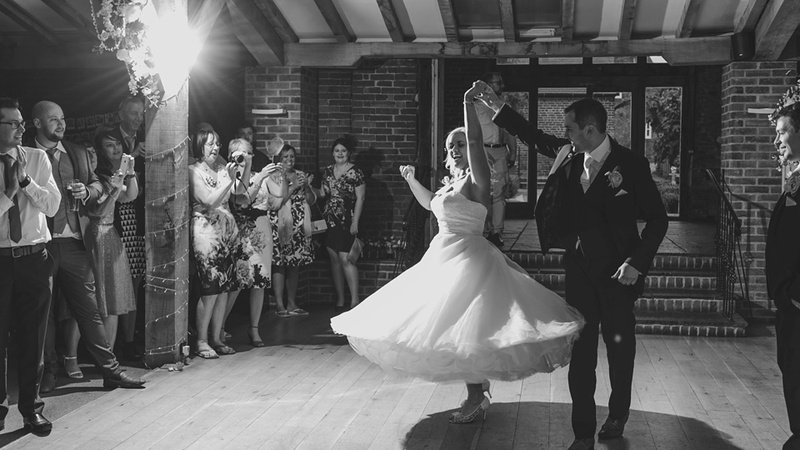 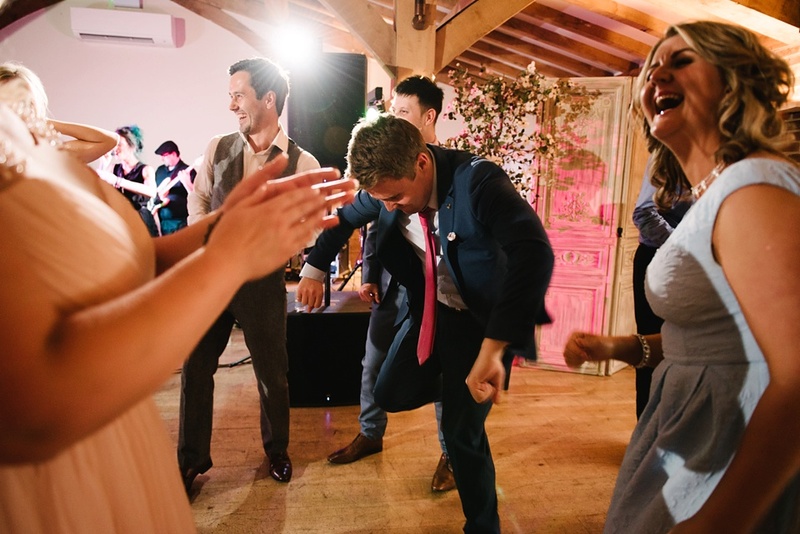 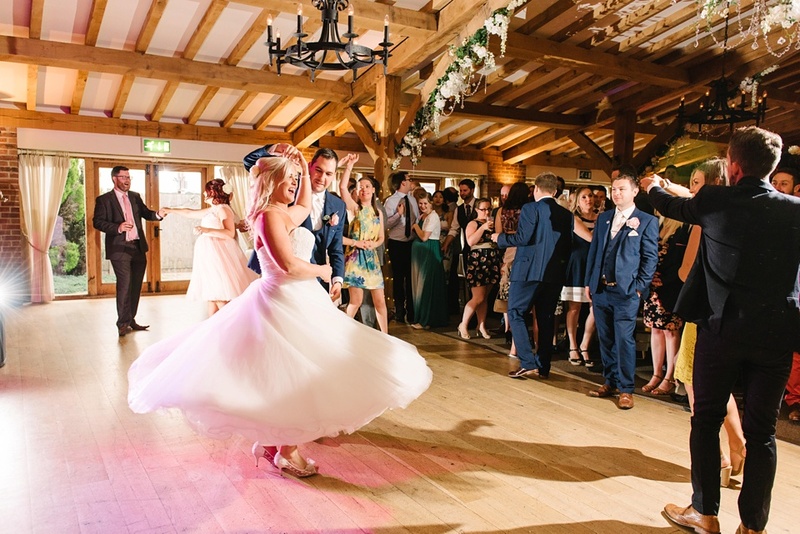 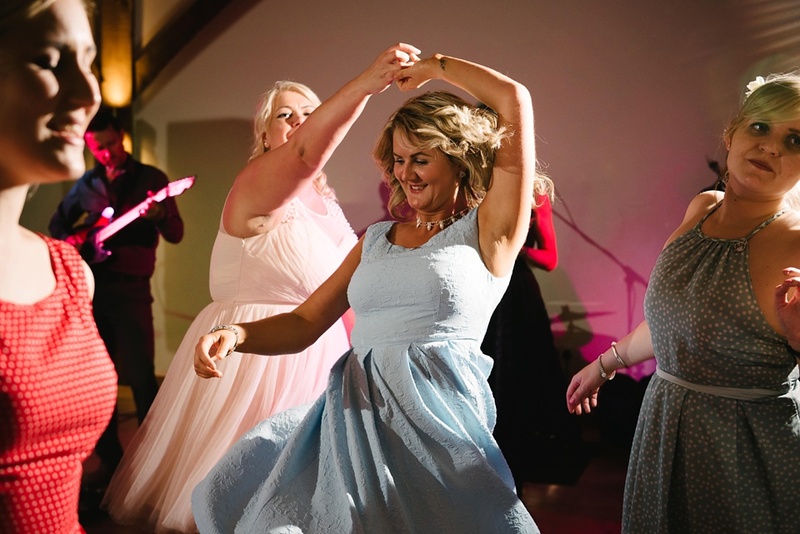 The moves were epic and I definitely saw the most twirling I have ever seen from a bride! 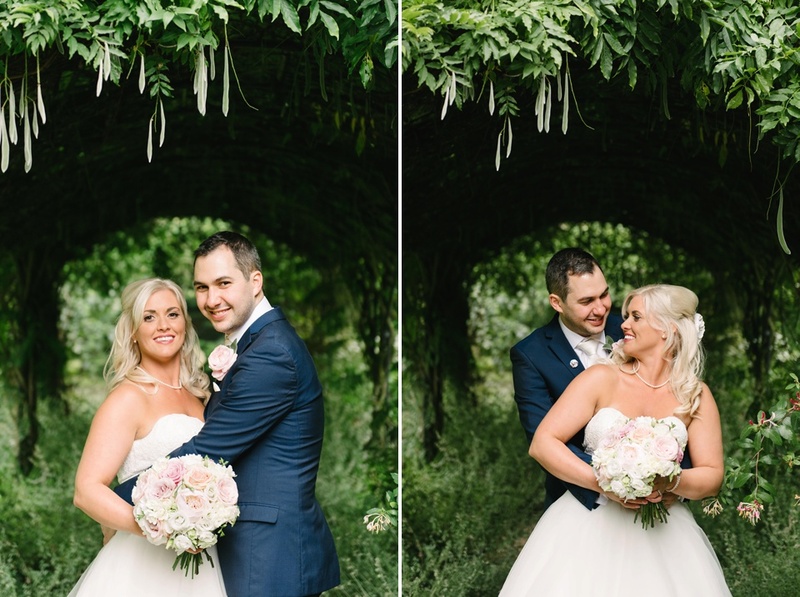 Hope you enjoy these pictures, and check out their gorgeous highlight film at the end!